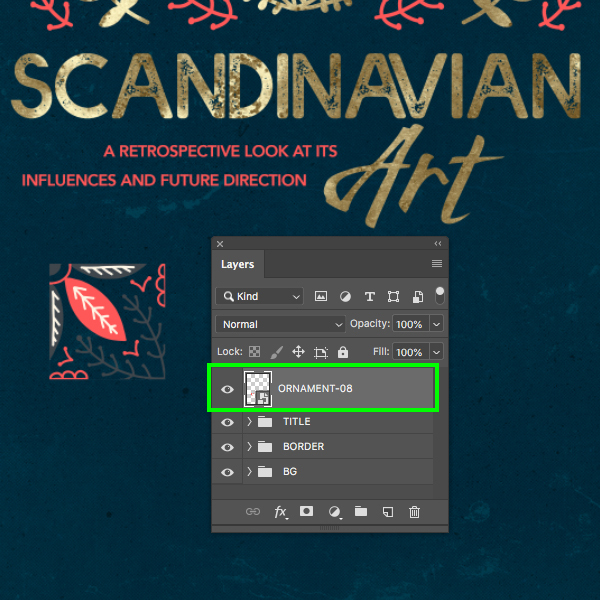 In this tutorial I will be showing you how to create a poster design for a book on Scandinavian Art in Photoshop. 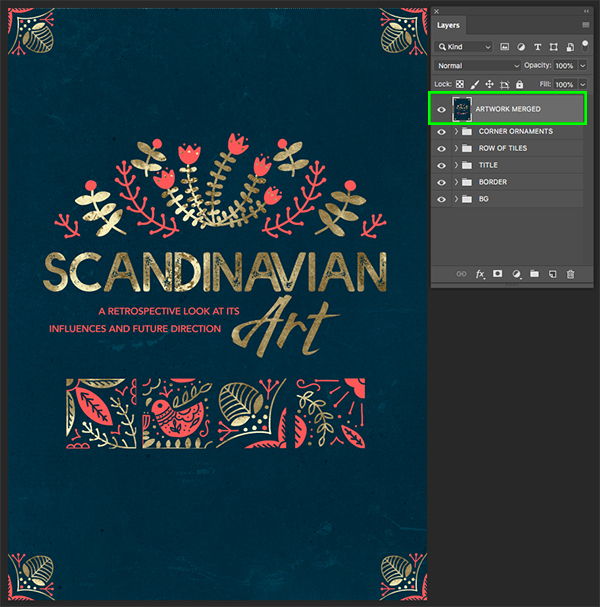 To do this we will be using a handful of elements from The Expansive Textures and Patterns Collection featuring the North Dream Collection from Julia Dreams along with some beautiful textures from NassyArt, Offset, and Zeppelin Graphics. Once we have our poster laid out we will then apply it to a realistic poster mockup from the Design Cuts Marketplace to take it one step further. If you are all ready to begin then fire up Photoshop and let’s begin! This freebie pack is just a small sample of what you can expect to find in The Expansive Textures and Patterns Collection for just $29 (that’s 99% off). 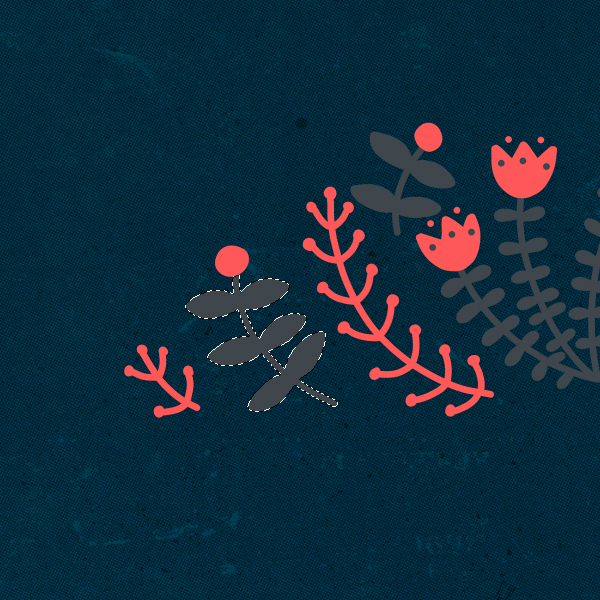 With this new design bundle you can add loads of depth to your design projects with this professional and easy to use collection of textures and patterns. Whatever texture or pattern you may be looking for, we have you covered! 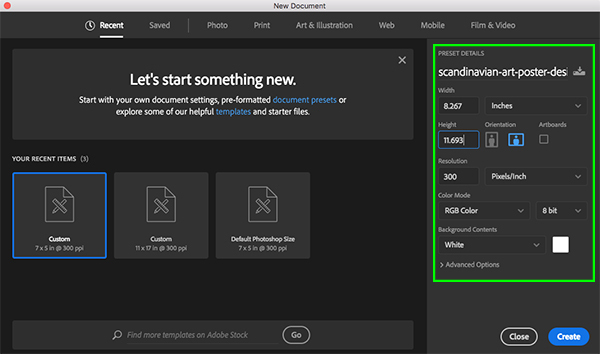 Let’s start by setting up a new document in Photoshop. 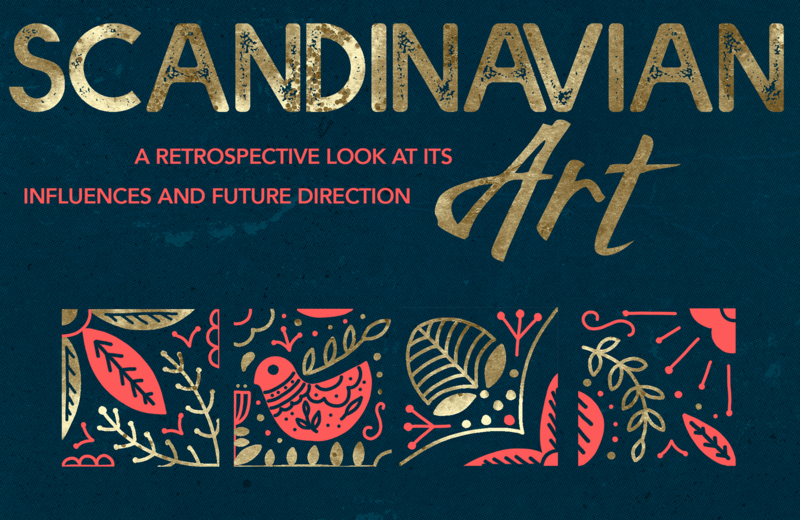 First, give your document a name – here I am using ‘scandinavian-art-poster-design’. After that, make the document ‘8.267 inches’ wide by ‘11.693 inches’ tall with a ‘Resolution’ of ‘300’ and ‘Color Mode’ set to ‘RGB’. 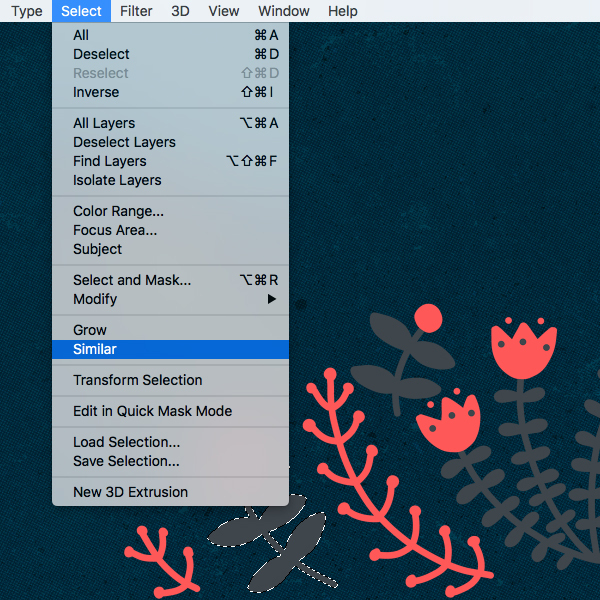 Once you’ve applied those settings go ahead and click ‘Create’ from the lower right corner. 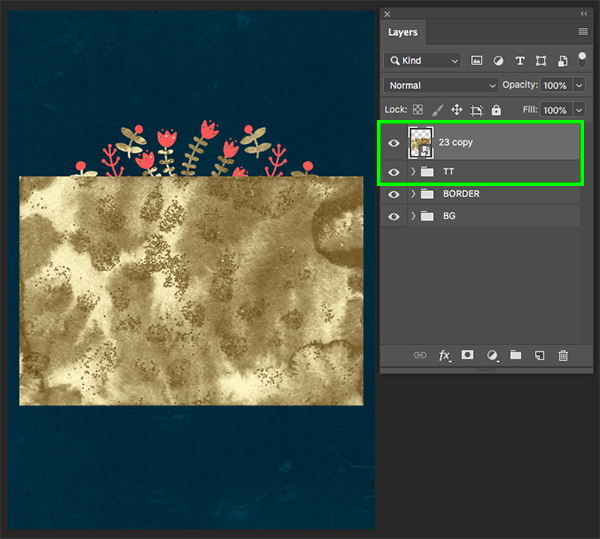 After importing the texture layer, drag outwards from any of the four corners of the bounding box while holding Alt/Option on the keyboard to scale the texture up so that it stretches outside of the canvas area. 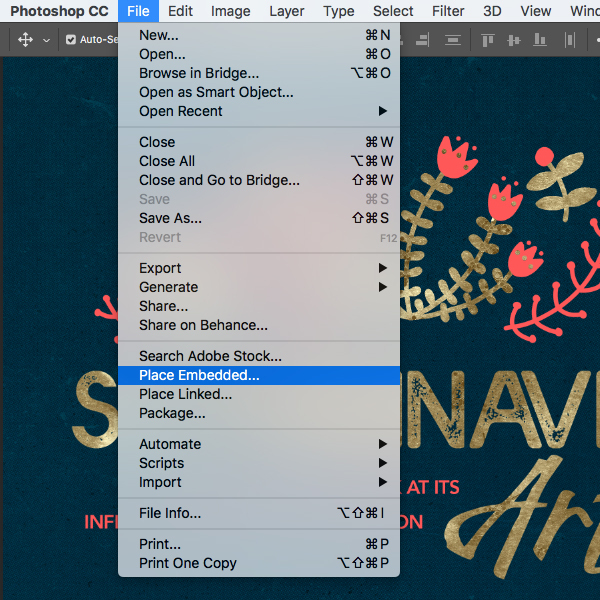 Just as a quick note here – I recently upgraded to Photoshop CC 2019 where you now just need to hold Alt/Option while dragging outwards as you no longer need to hold the Shift key while scaling objects to constrain their proportion like in previous versions of the program. Now that we’ve scaled and placed our first texture, press the ‘Return’ key to apply the changes if you haven’t already. 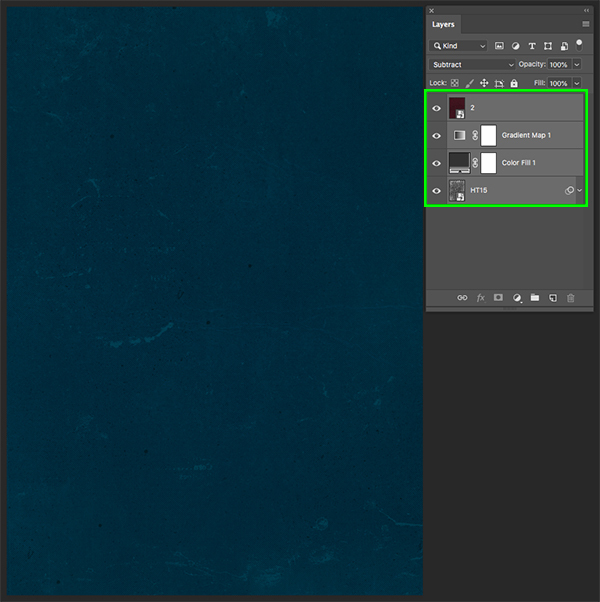 Next, go to the Image menu and choose ‘Adjustments>Invert’ to invert the texture. 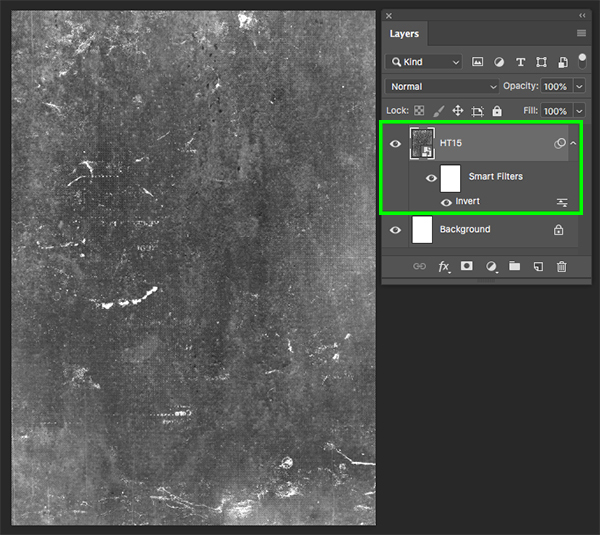 You should now see the ‘Invert’ under the ‘Smart Filters’ that are attached to the Smart Object texture layer. 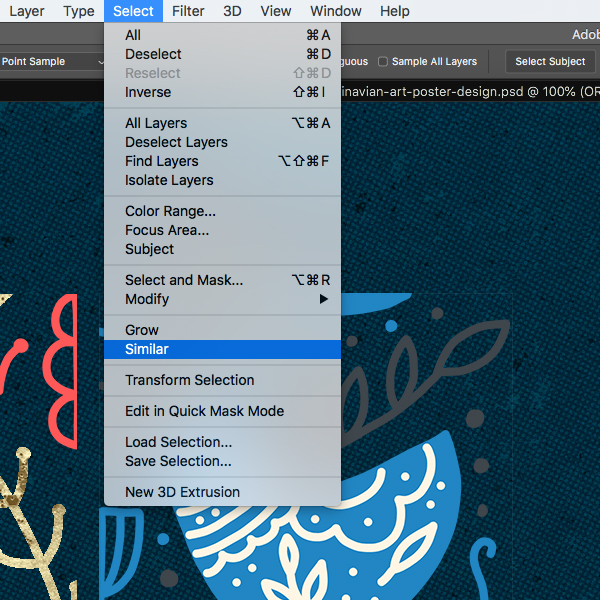 With your Smart Object texture layer selected, click on the Adjustment Layer icon at the bottom of the Layers Palette and choose ‘Solid Color…’ from the menu. 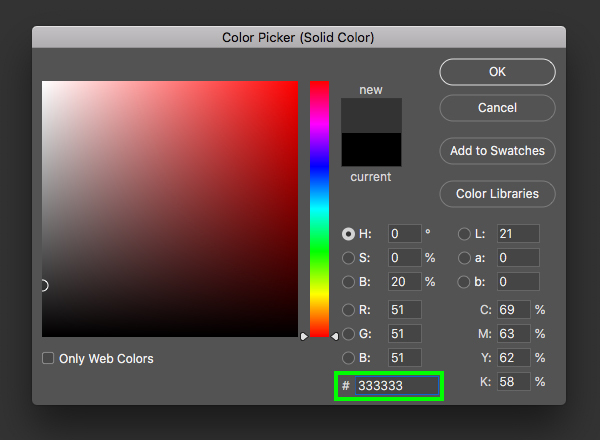 Enter the hex value ‘#333333’ as shown below and then click ‘OK’ or press ‘Return’ on the keyboard. 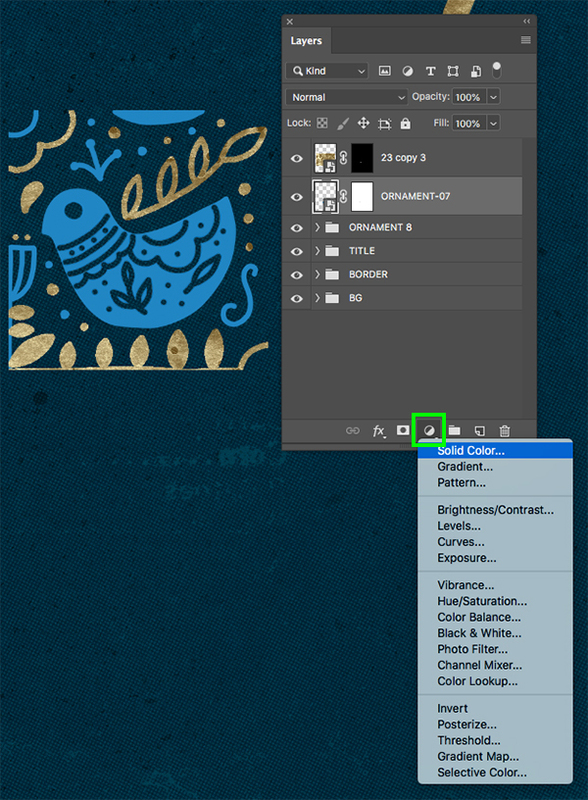 After applying the Solid Color Adjustment Layer, change the Blend Mode from ‘Normal’ to ‘Multiply’. 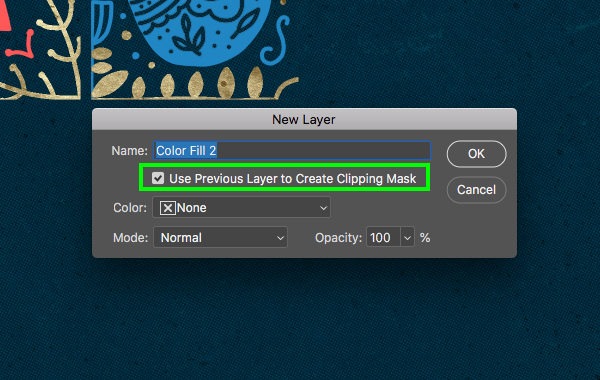 With the ‘Color Fill’ Adjustment Layer selected, return to the Adjustment Layer icon at the bottom of the Layers Palette and now choose ‘Gradient Map…’ from the menu to add it to the top of the layer stack. 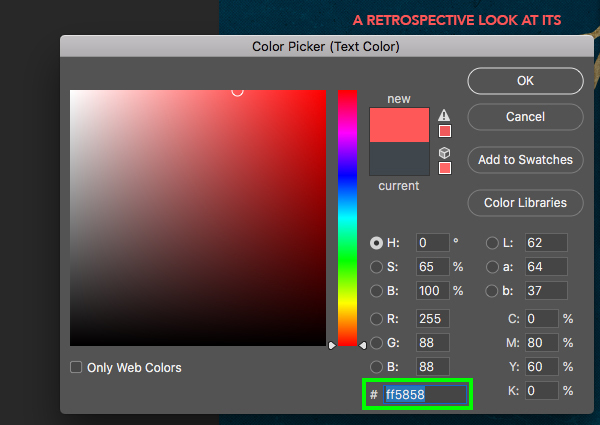 Next, in the Properties box, click on the gradient strip to open the Gradient Editor and then double click on the colored square in the lower left before changing the first value to ‘#0F3450’. 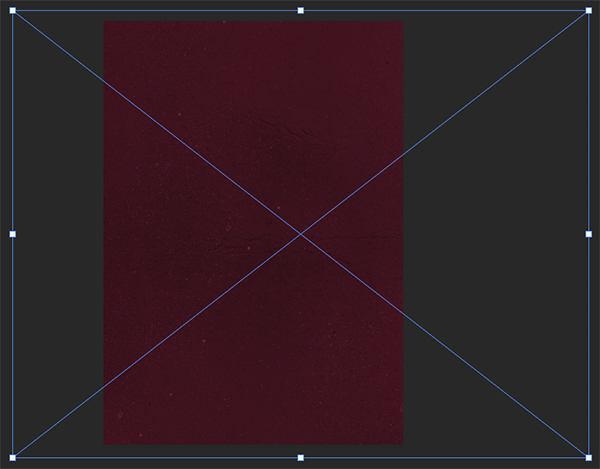 Once you have entered this value, press ‘Return’ on the keyboard to take a step back to the Gradient Editor. 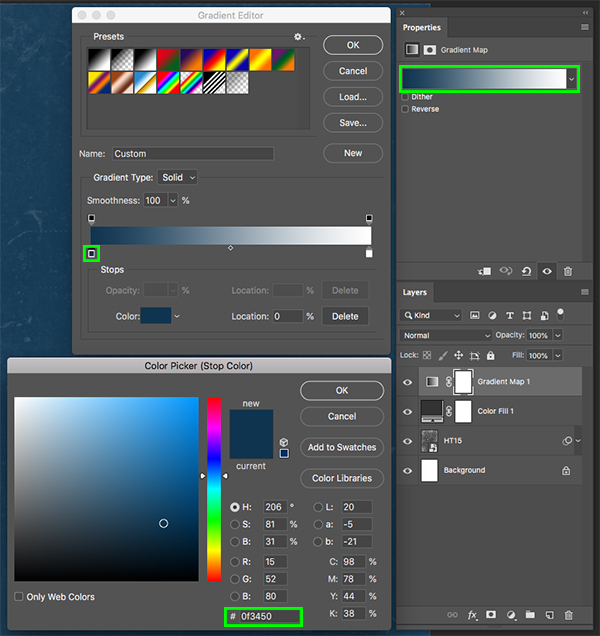 Click on the square at the bottom right of the Gradient Editor and for this we will enter the hex value ‘#00DEFF’ and then click ‘OK’ to return to the Gradient Editor once again. 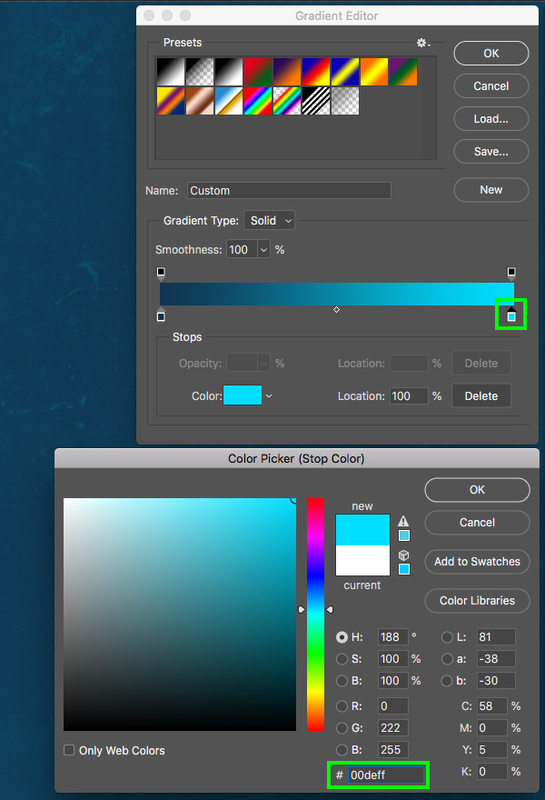 Now that we have entered both colors for our Gradient Map we can click ‘OK’ once again or press ‘Return’ on the keyboard to close out of the dialog boxes. 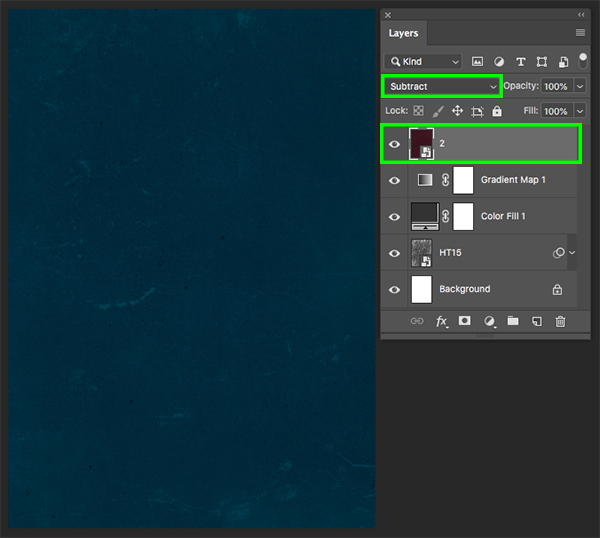 Once you have returned to your main document, leave the Blend Mode of the ‘Gradient Map 1’ layer set to ‘Normal’. For this step, we’ll grab the ‘2.jpg’ which is one of many great vintage metal textures by ‘Zeppelin Graphics’ from The Expansive Textures And Patterns Collection. If you don’t have access to this texture, you can use any similar textures that you have available in your own collection of design resources. 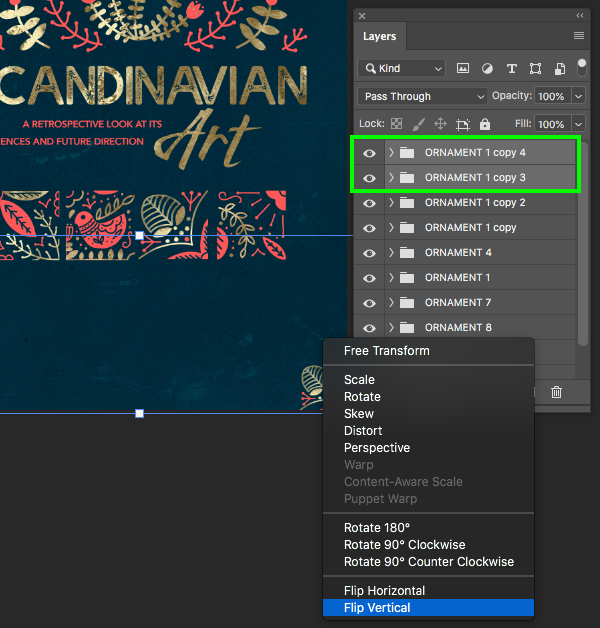 After importing the image, click and drag outwards while holding Alt/Option+Shift (or just Alt/Option in PS CC 2019) to scale the image up proportionally from the center until it completely covers the canvas area. 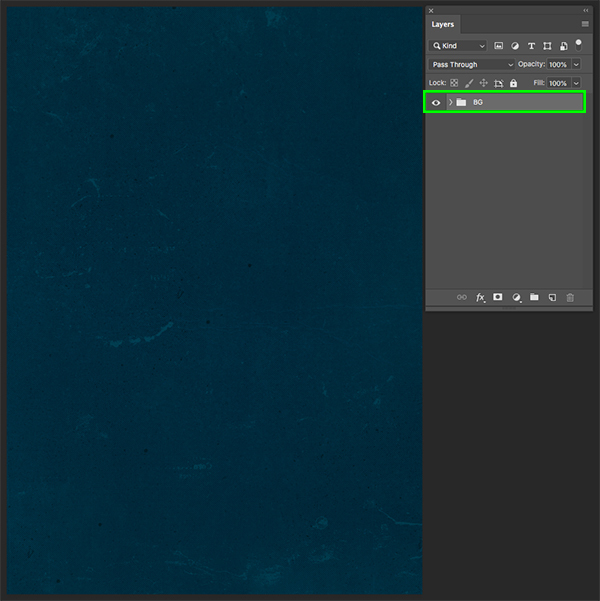 Once the texture covers your canvas you can move it to the left or right until you have an interesting part of the texture placed over the image and then once you’re happy with the positioning, press ‘Return’ on the keyboard. 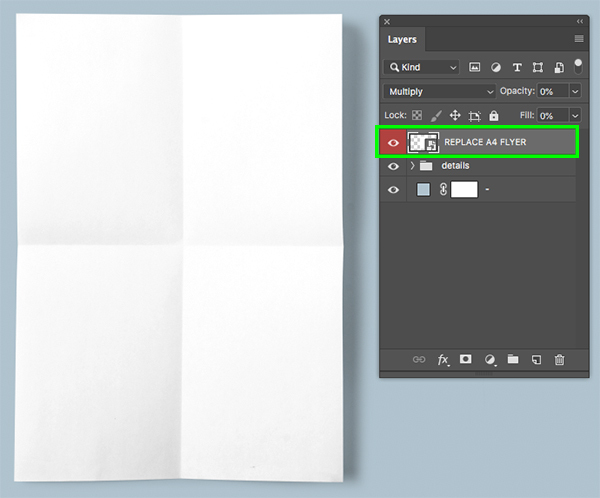 At this point let’s go ahead and just get rid of the original ‘Background’ layer by dragging it to the trash bin since we no longer need it. 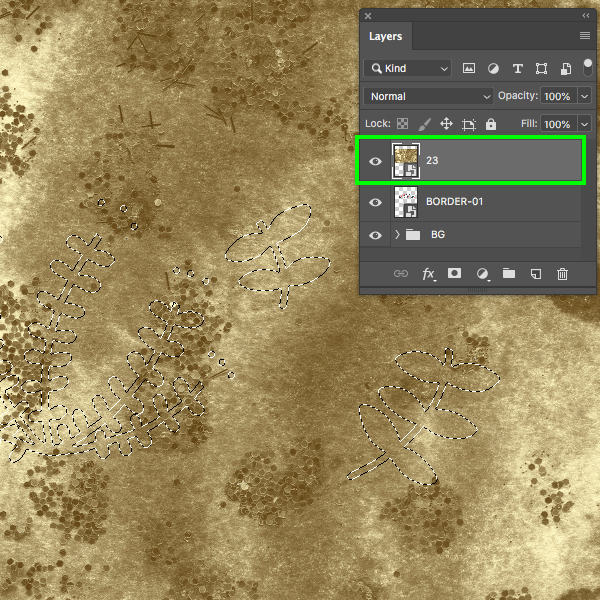 Next, select the top ‘2.jpg’ Smart Object layer, hold the Shift key, and then select the bottom ‘HT15’ layer so all of our layers are selected together. 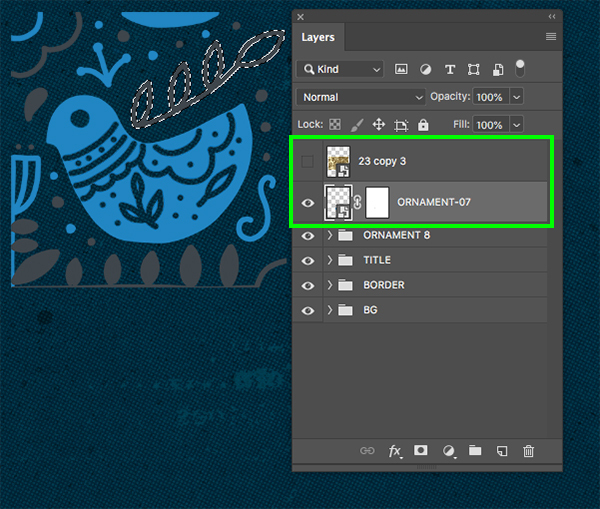 From here, go to the File menu and choose ‘Place Embedded…’ to import our next design element. 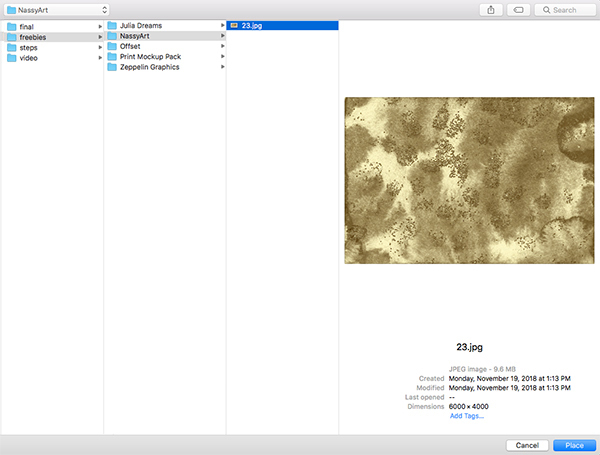 Navigate to the ‘Julia Dreams’ folder inside of the freebies and select the ‘BORDER-01.jpg’ file before choosing ‘Place’ from the lower right corner of the dialog box. Bring the element a bit higher than center and scale it down slightly before pressing ‘Return’ to apply the changes. 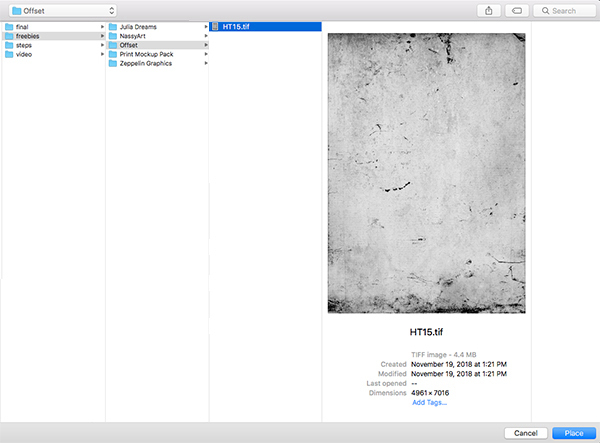 Return to the File menu and choose ‘Place Embedded…’ once again. 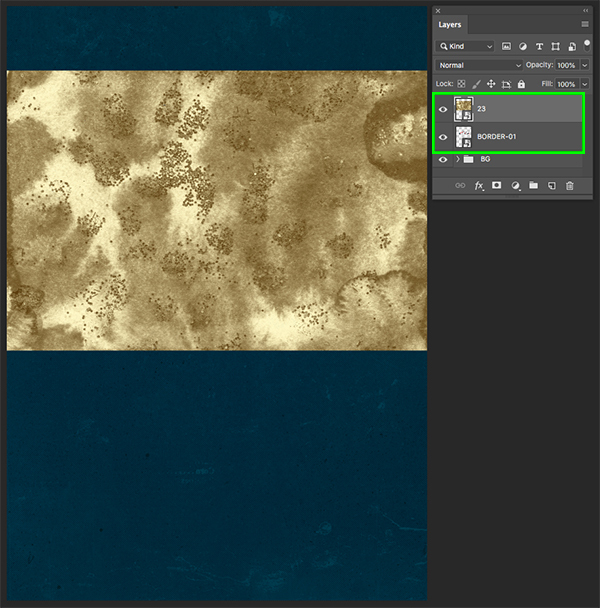 This time let’s choose the ’23.jpg’ image inside of the ‘NassyArt’ subfolder, which is one of the nice, luxurious textures you will find in the complete bundle and then choose ‘Place’ from the bottom right. 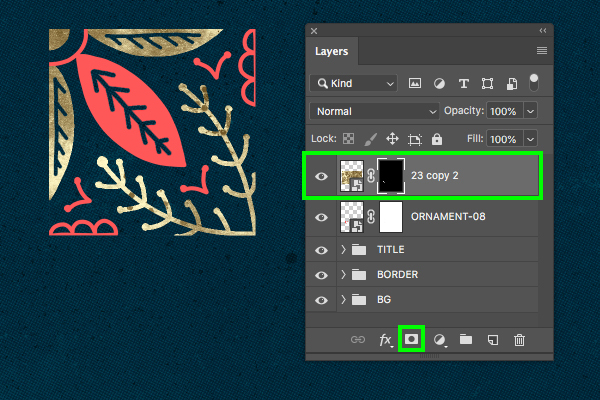 After placing the gold texture on top, poke out the eye in the Layers Palette to temporarily turn this layer off. 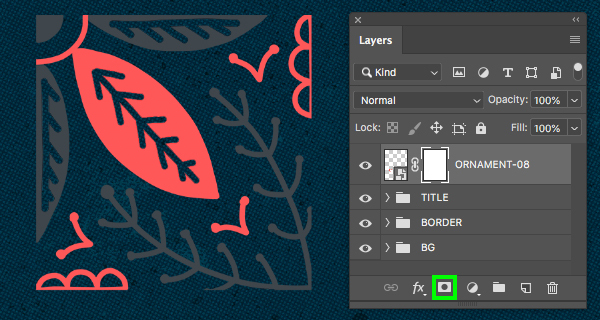 Make sure you have the border layer selected and then press ‘W’ to switch to your Magic Wand Tool. 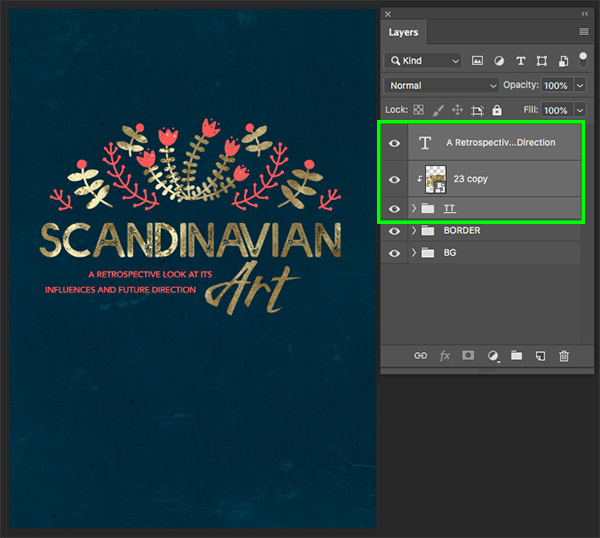 From here, click anywhere inside of the dark gray areas within the border to make a selection. 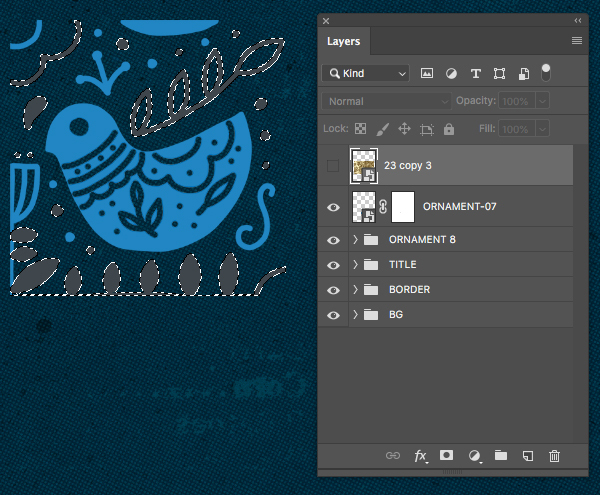 Go to the Select menu and then choose ‘Similar’ and you will select all of the other dark gray portions of the border. 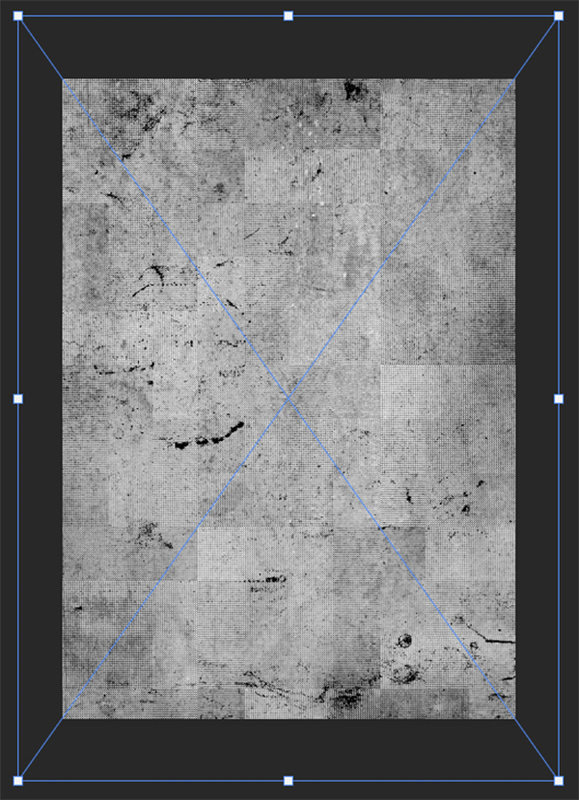 Once all of the dark gray portions of the border are selected, let’s turn the visibility of the golden texture layer back on. 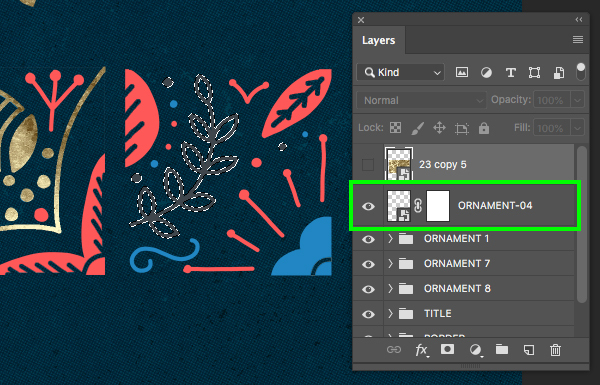 Select the ’23’ Smart Object layer and then hold the Shift key and select the ‘BORDER-01’ layer below to select both layers at the same time. 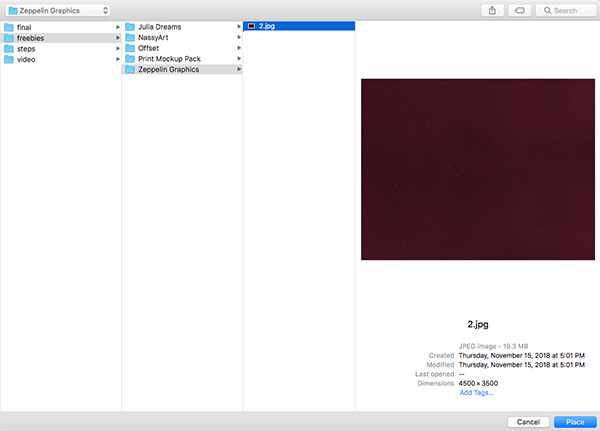 Press Command/Ctrl+G to place both of these layers into a new folder and then double click on the ‘Group 1’ text and rename the folder ‘BORDER’. 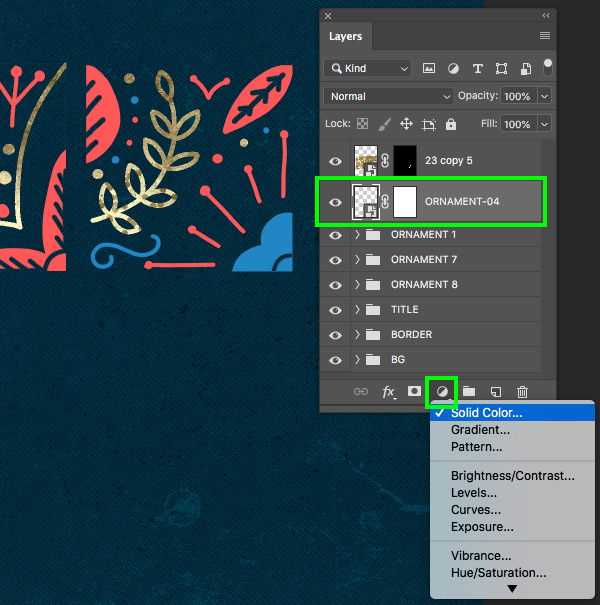 Next, create a new layer at the top of your Layers Palette and then press ‘T’ to switch to your Type Tool. 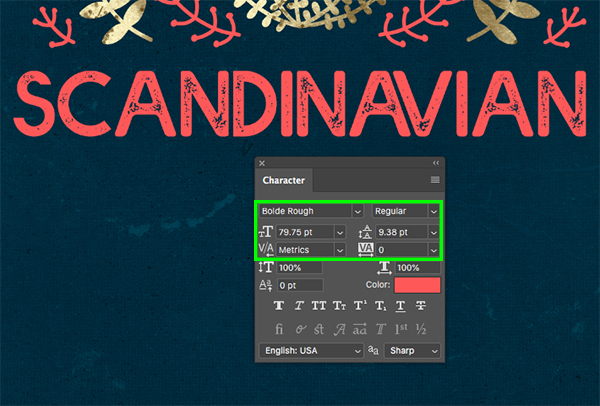 Click in the center of your canvas and type out the word ‘SCANDINAVIAN’ in all caps. If you don’t already have it, go to the Window menu and choose ‘Character’ to open the Character panel so we can change a few of the text properties. Here I am using a typeface called Bolde Rough which you can download for free from DaFont.com. 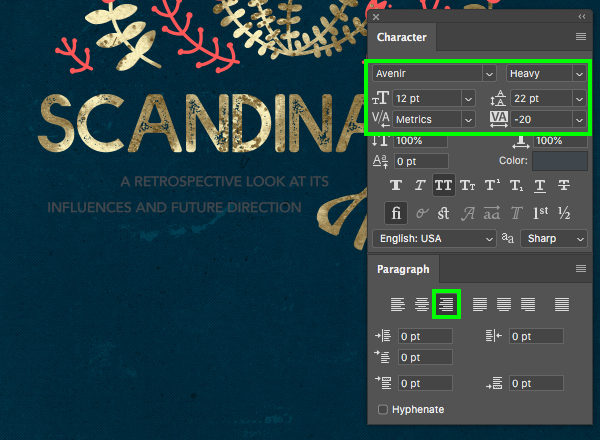 After you have done that, use the Character panel to change the size of your text to about ‘79.75 pt’ and don’t worry about the fill color for now. 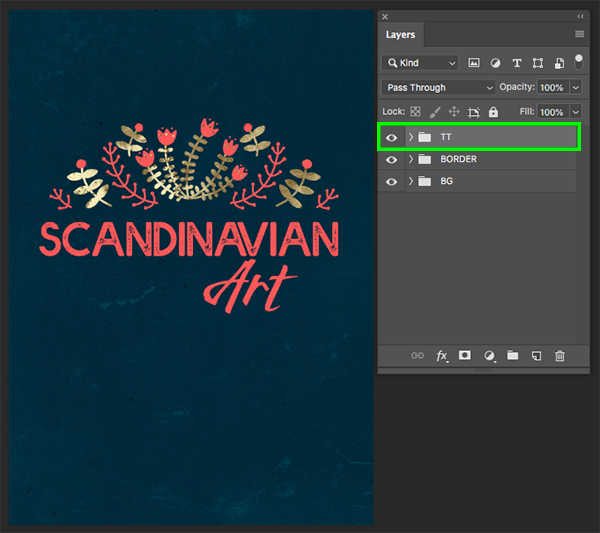 Add another new layer and use the Type Tool (T) once again to add the word ‘Art’ in upper and lowercase. 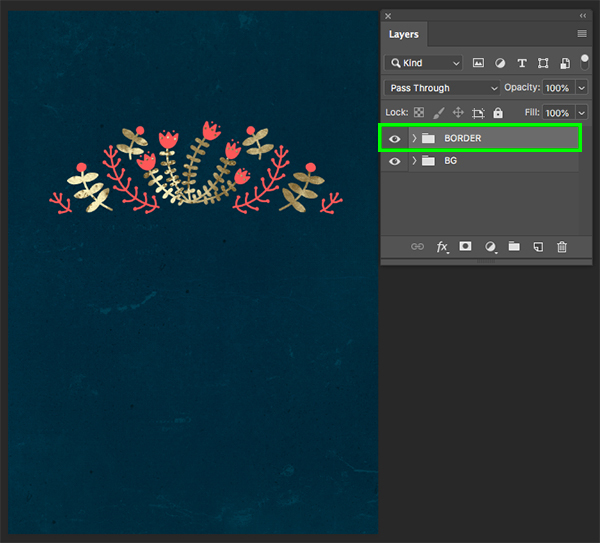 Here I am using the typeface Wildwest which is another free typeface you can download and install to follow along. 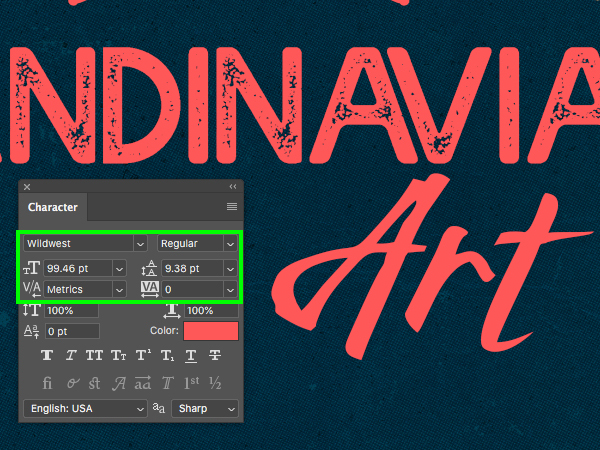 Let’s use the Character panel once again to make this line of text about ‘99.46 pt’ in size and position it so that the capital ‘A’ is just below the ‘AV’ in ‘SCANDINAVIAN’. Just as a side note, you can absolutely round these numbers up to say ‘100 pt’ or ’80 pt’ for the previous line of text if you prefer just to keep the numbers nice and even. 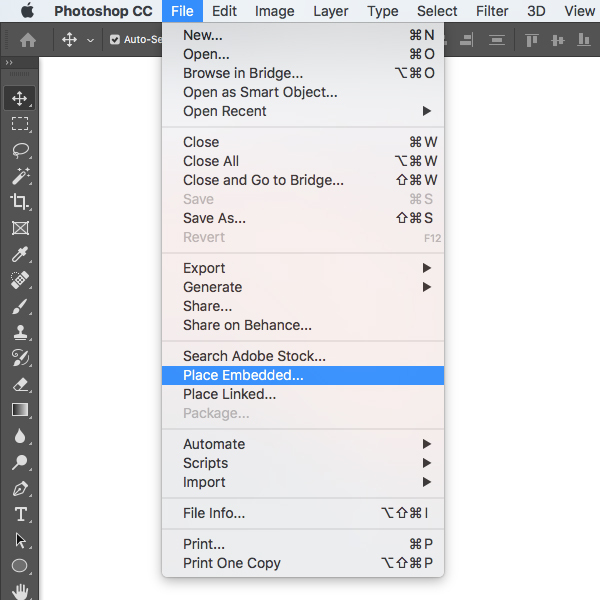 After creating both lines of text, select the top text layer and then hold the Shift key and select the second. 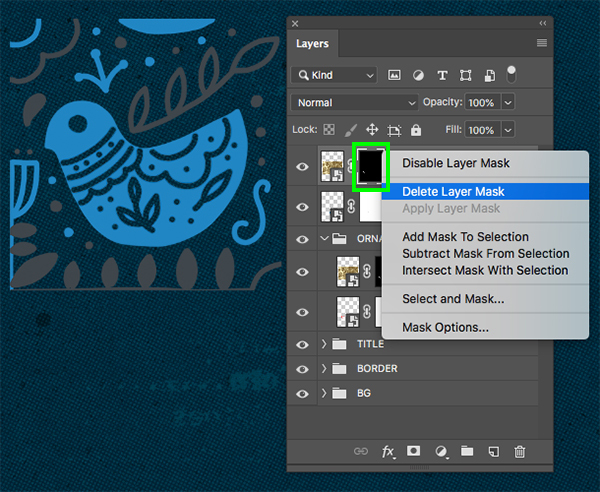 Hold the Control key and click on the mask attached to the ’23 copy’ layer before choosing ‘Delete Layer Mask’ from the dropdown that appears – This will give us a nice clean layer to work with. 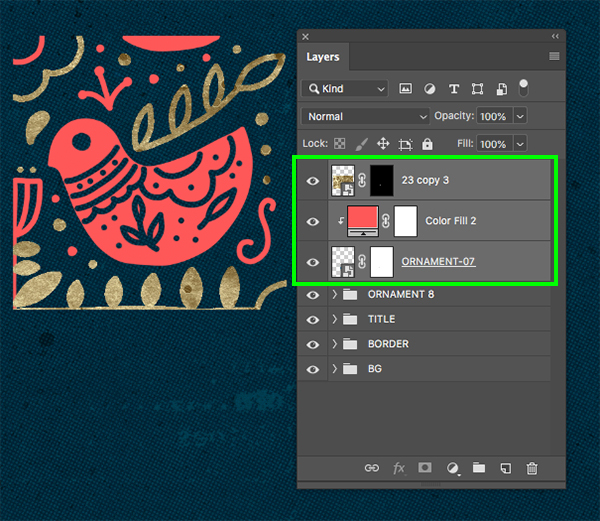 Double check and make sure that the gold texture is sitting just above your ‘TT’ folder from the previous step. 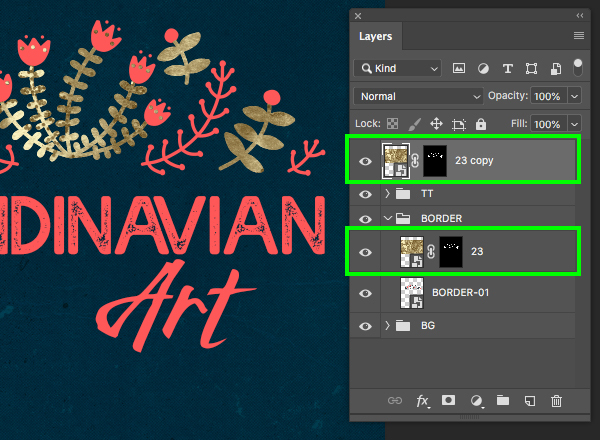 Select the ’23 copy’ layer while holding the Control key and choose ‘Create Clipping Mask’ from the menu. 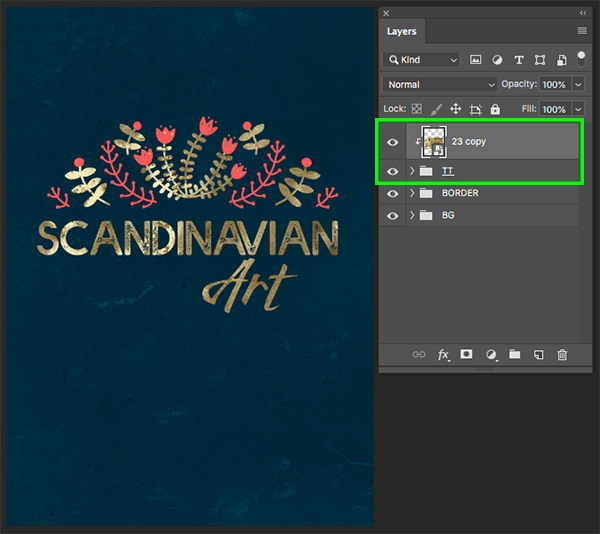 You should now have a Clipping Mask applied to the folder containing both lines of text, resulting in a nice gold texture on the title. 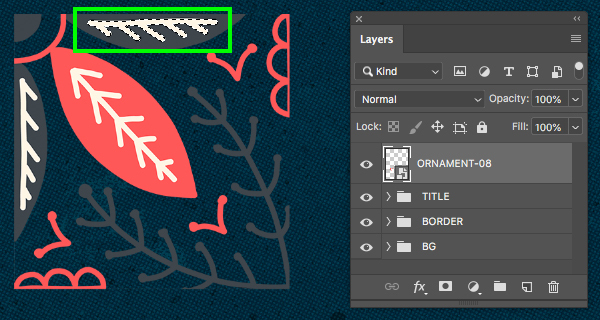 Next, click on the ‘Color’ box inside of the Character panel and change the fill color to ‘#FF5858’ so that it matches the red in our border and ornament. 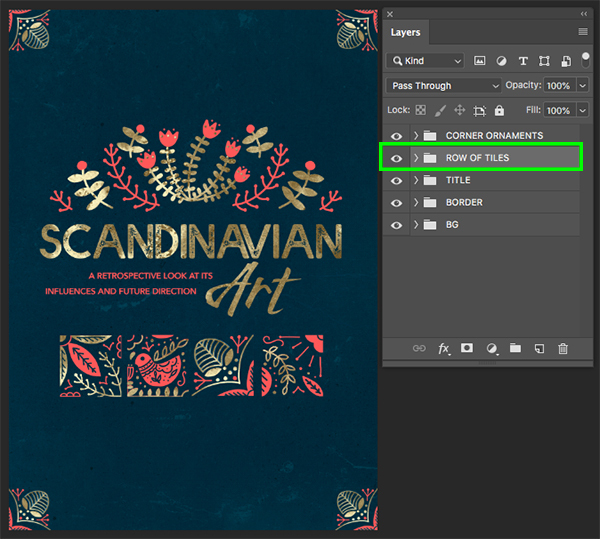 Select the top text layer in your Layers Palette, hold the Shift key, and then click on the ‘TT’ folder to select all of our text layers with the gold texture as well. 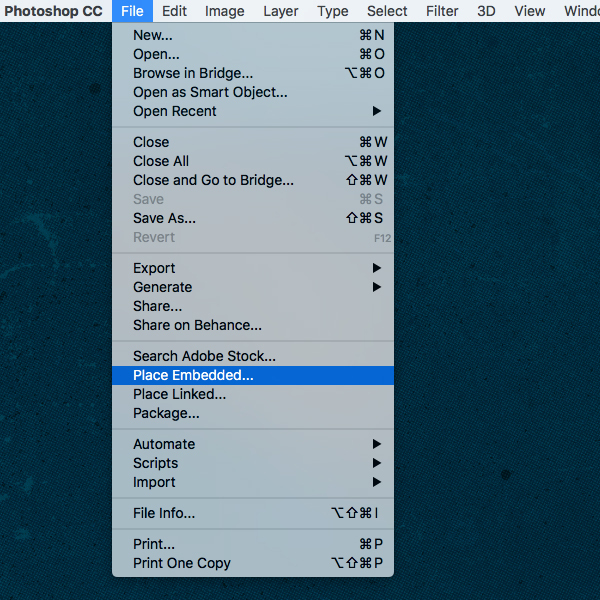 Return to the File menu and choose ‘Place Embedded…’ from the list. 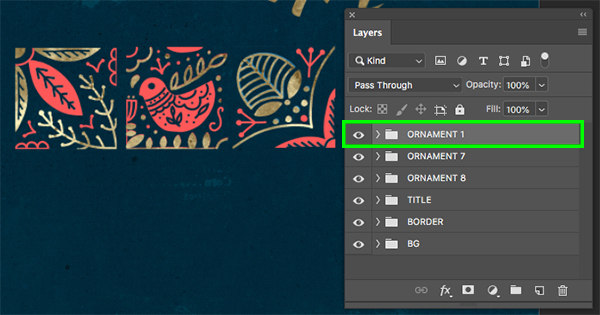 Navigate to the ‘ORNAMENT-08.png’ file inside of the ‘Julia Dreams’ subfolder with the other freebies for this tutorial, and then choose ‘Place’ from the lower right corner of the dialog box. 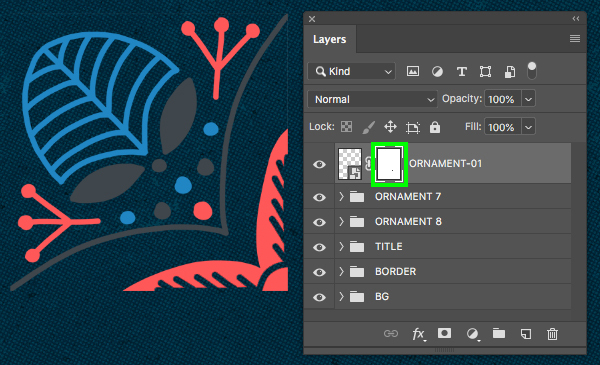 With the ‘ORNAMENT-08’ Smart Object layer selected, press ‘W’ to switch to the Magic Wand Tool and then click inside any of the off-white areas within the ornament to make a selection. 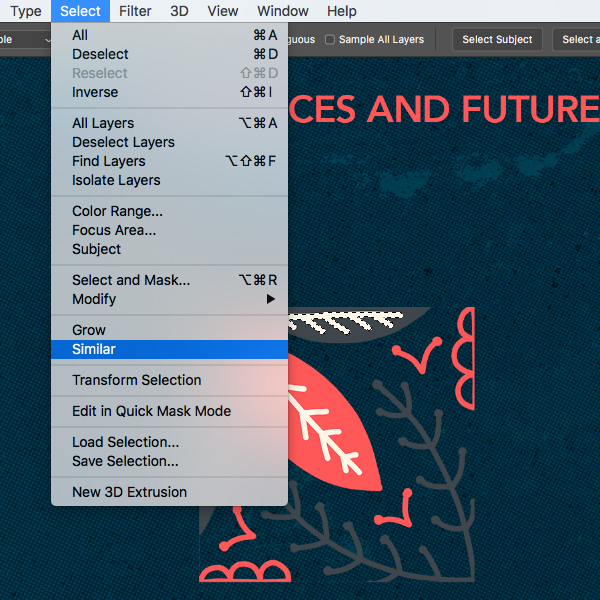 Go to the Select menu and choose ‘Similar’ as we did earlier on to select other areas with the same fill color. 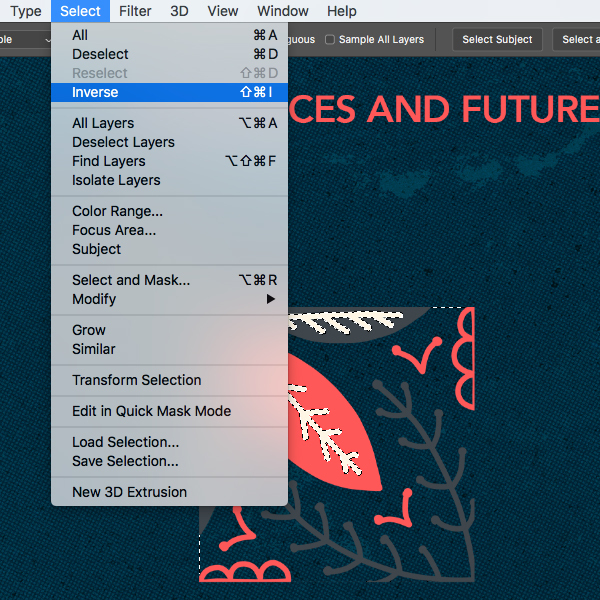 Once all of the other off-white shapes have been selected, return to the Select menu and choose ‘Inverse’. Alternatively, you could just use the keyboard shortcut Command/Ctrl+Shift+I to invert the selection. 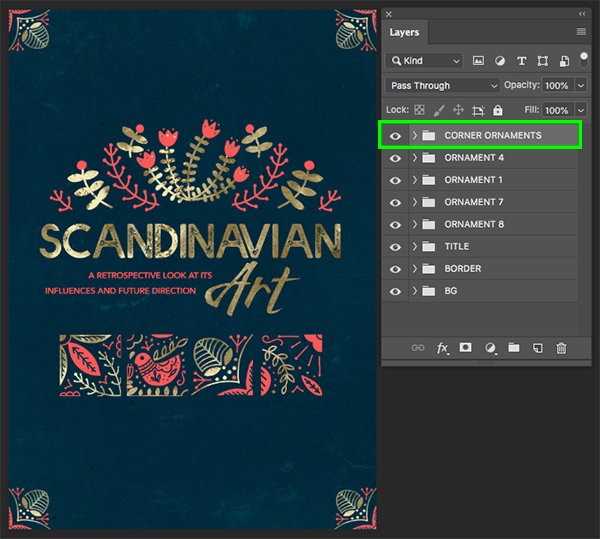 Click on the small arrow next to the ‘TITLE’ folder to reveal the contents and then select the ’23 copy’ Smart Object layer inside. 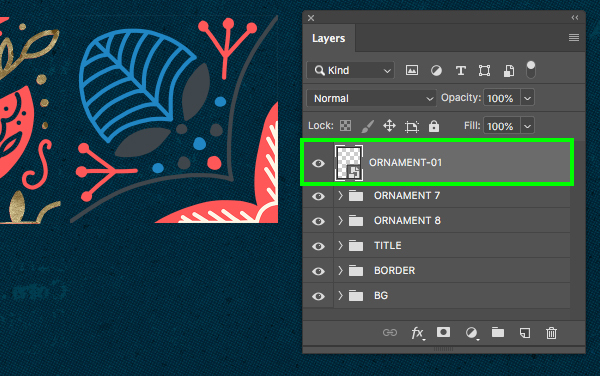 From here, press Command/Ctrl+J to duplicate it and then Command/Ctrl and the right bracket several times to move this copy to the top of the Layers Palette, just above your ‘ORNAMENT-08’ Smart Object layer. 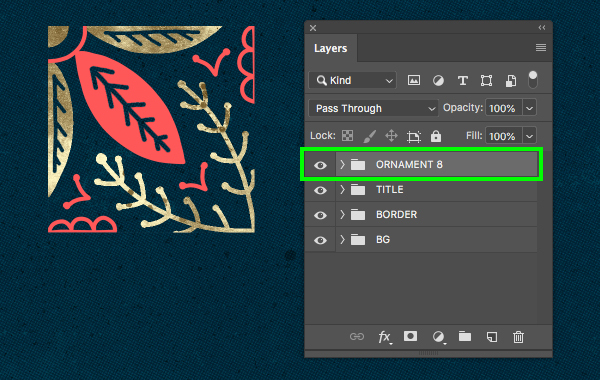 For the moment let’s turn the visibility of this top copy off and then use the Magic Wand Tool (W) to select an area of dark gray on our ornament layer. 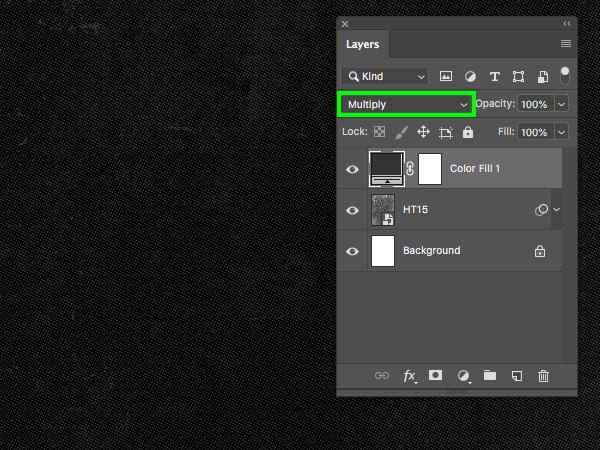 Return to the Select menu and choose ‘Similar’ once again to grab all of the other dark gray areas form this layer. 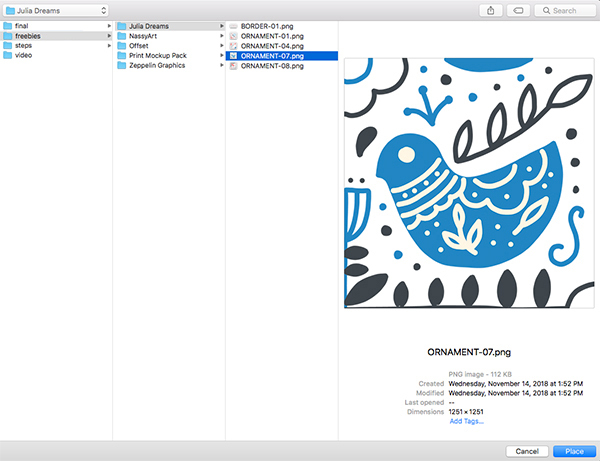 Select both of these two layers and put them into a new folder called ‘ORNAMENT 8’ to help keep things organized. 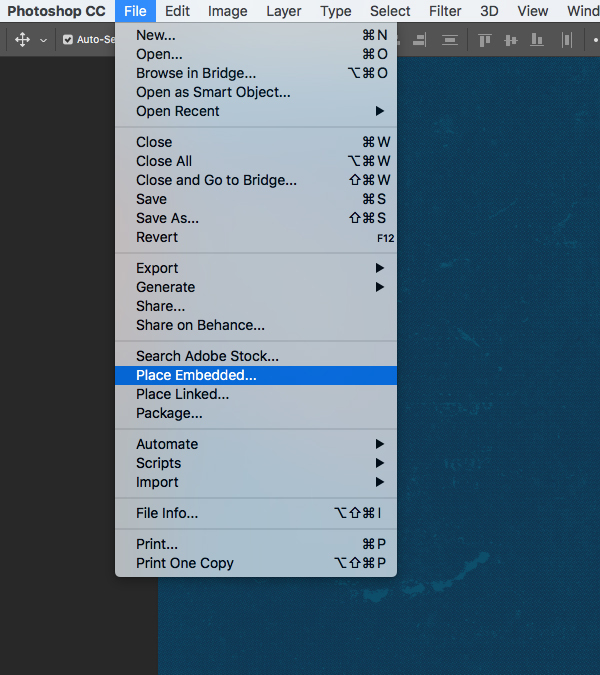 Return to the File menu and select ‘Place Embedded…’ from the list. 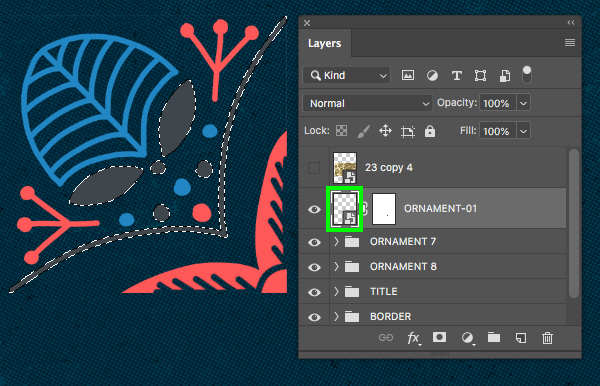 Navigate to the ‘ORNAMENT-07.png’ file inside of the ‘Julia Dreams’ subfolder and choose ‘Place’ from the lower right. 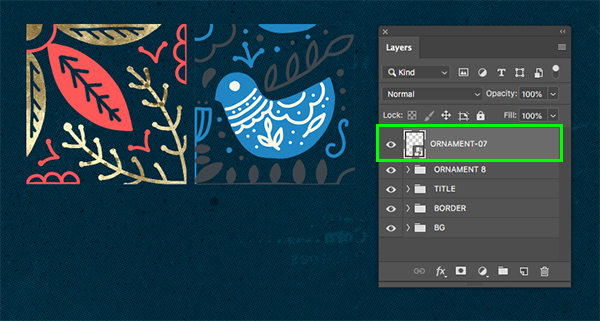 With the ‘ORNAMENT-07’ Smart Object layer selected, grab the Magic Wand Tool (W) and select an area of off-white inside of the birds eye. Go to the Select menu and choose ‘Similar’ to select all of the other off-white portions. 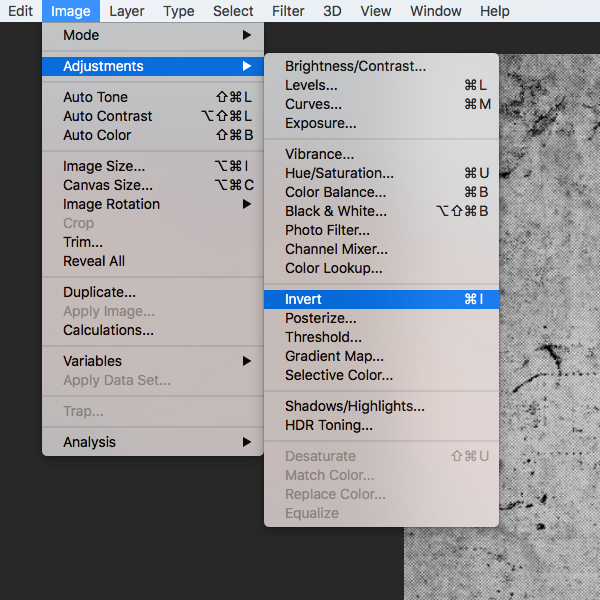 After all of the other off-white areas are selected together, return to the Select menu and choose ‘Inverse’ or use the keyboard shortcut Command/Ctrl+Shift+I. 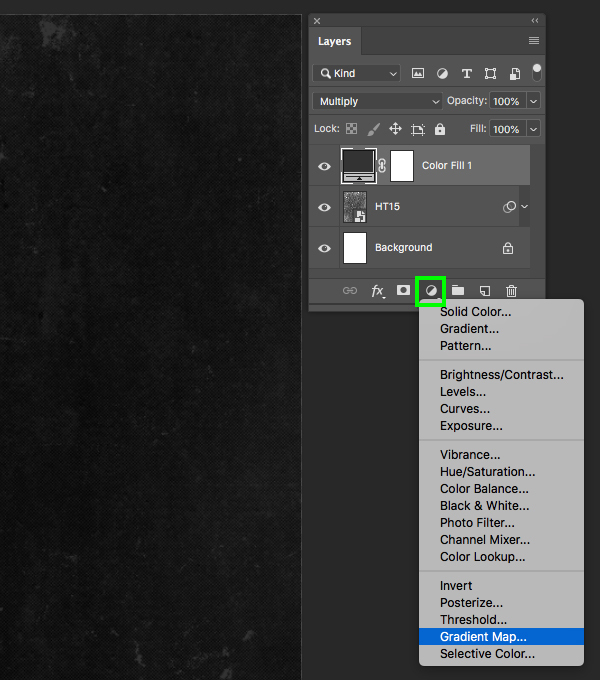 Click on the ‘Add layer mask’ icon to knockout all of the off-white areas leaving you only with the blue and dark gray colors. 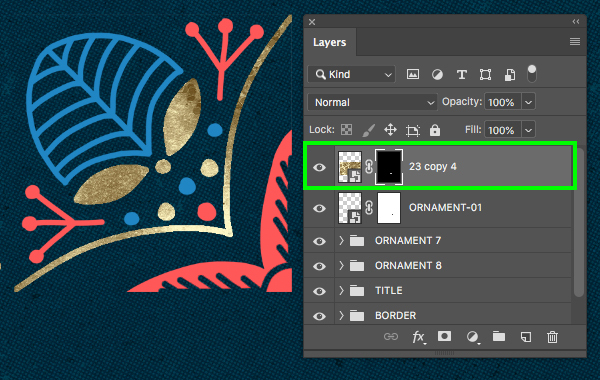 Turn off the visibility of the ’23 copy 3′ layer and then make sure your ‘ORNAMENT-07’ layer is selected and use the Magic Wand Tool (W) to pick an area of dark gray. 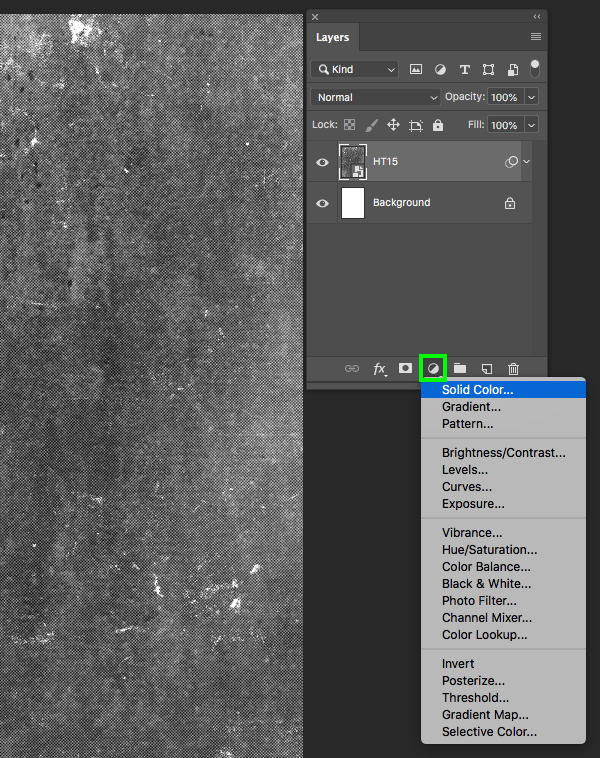 Once again we will go to the Select menu and choose ‘Similar’ to grab all of the dark gray areas. 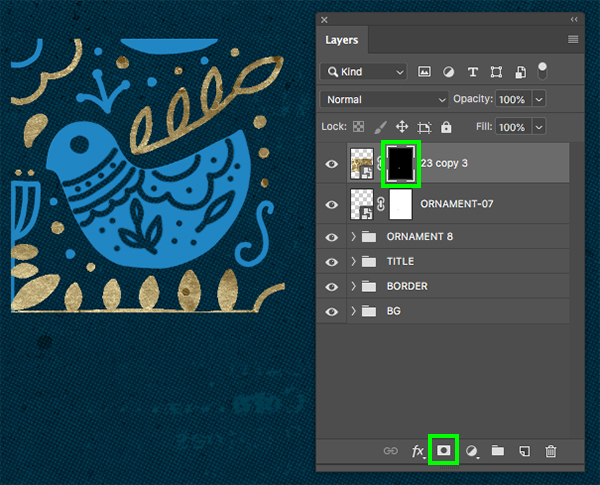 Now let’s turn the visibility of the gold texture back on and then click the ‘Add layer mask’ icon at the bottom of the Layers Palette so the gold texture takes the place of the dark gray. 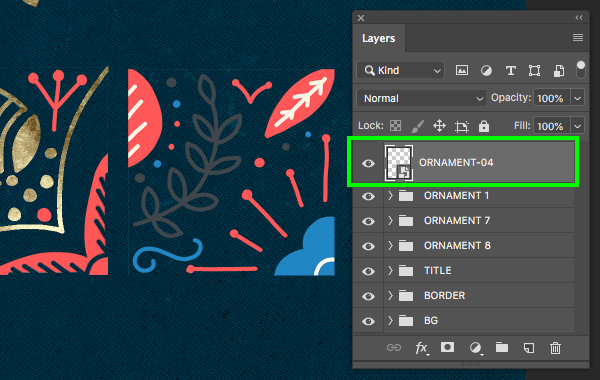 With the ‘ORNAMENT-07’ Smart Object layer selected, hold the Alt/Option key and click the Adjustment Layer icon at the bottom of the Layers Palette before choosing ‘Solid Color…’ from the top of the list. 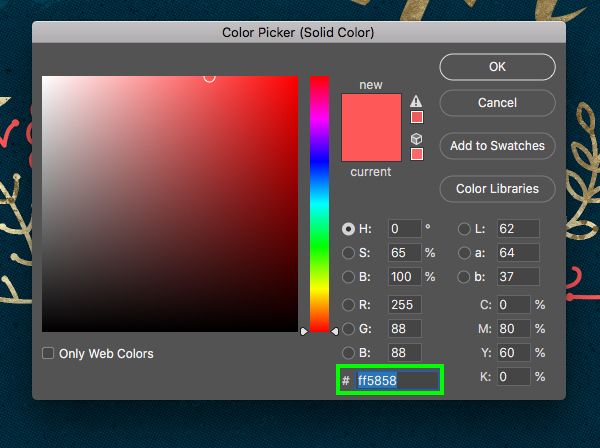 For the fill color, enter the hex value ‘#FF5858’ and then click ‘OK’. 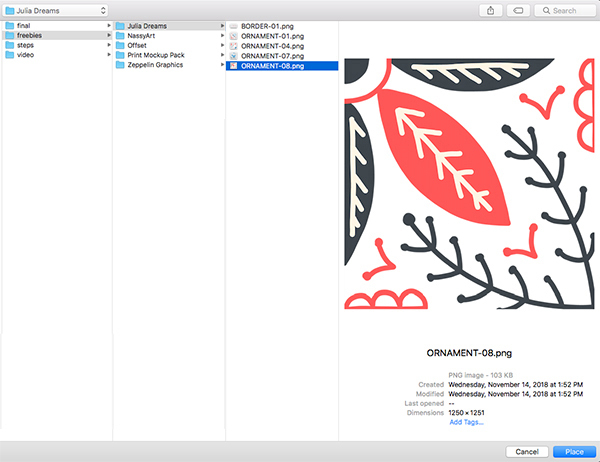 With your three layers still selected, press Command/Ctrl+G to place them into a new folder and rename it ‘ORNAMENT 7’. Let’s repeat this process by bringing in our next ornament. 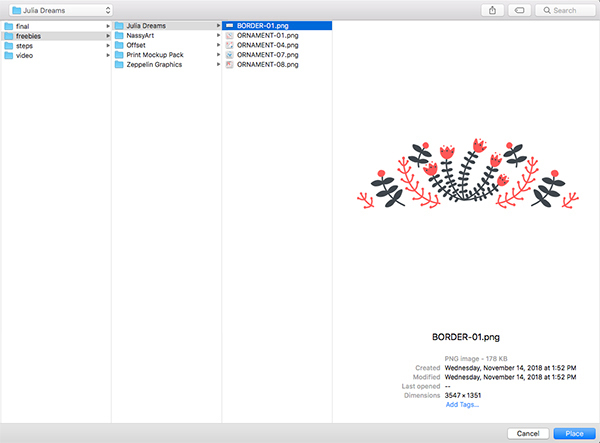 Go to the File menu and choose ‘Place Embedded…’ and then bring in ‘ORNAMENT-01’ from the freebies folder. 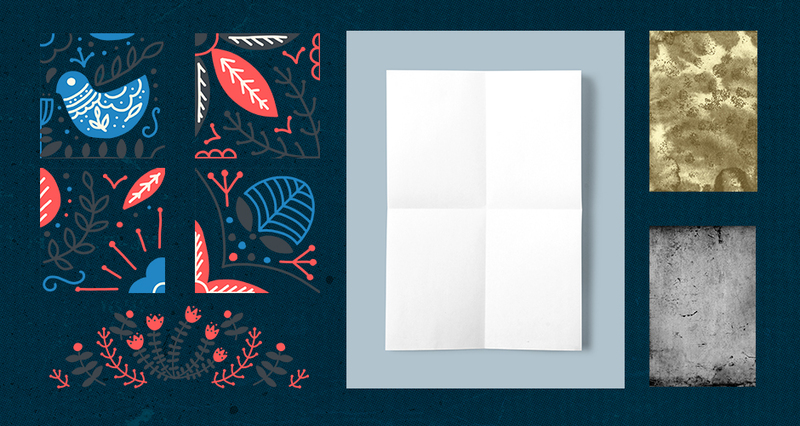 Once you have it in your document, scale it down and place it next to the previous ornament. 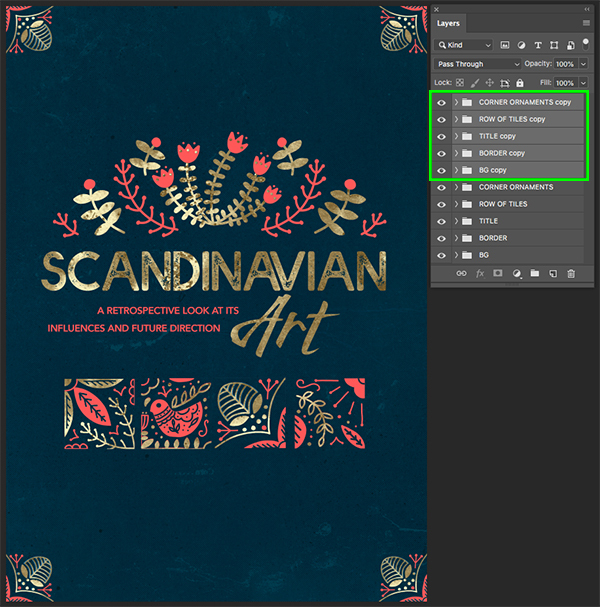 Use the Magic Wand Tool (W) to select the off-white areas, then invert the selection and add a Layer Mask so that the background shows through in all of the areas that were filled with the off-white color. 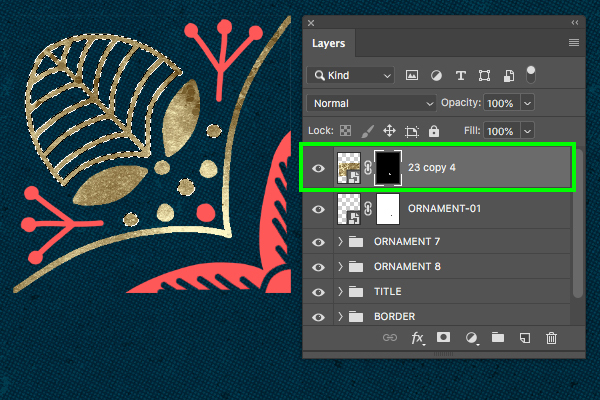 Grab and duplicate the gold texture from the ‘ORNAMENT 7’ folder and move it to the top of the Layers Palette before deleting the mask and turning off the visibility of the layer. 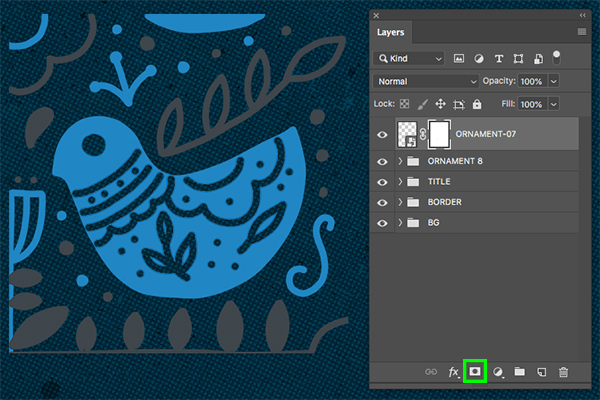 Use the Magic Wand Tool (W) once again to select all of the dark gray areas in the ornament. 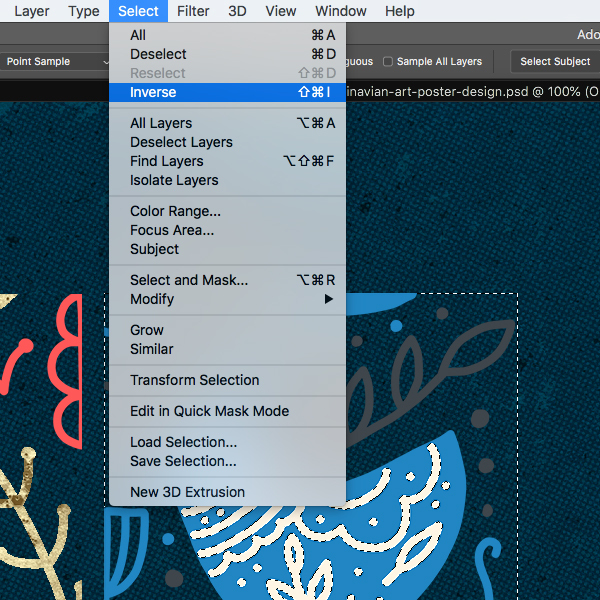 Return to the Select menu, choose ‘Inverse’ and then turn the gold layer back on. 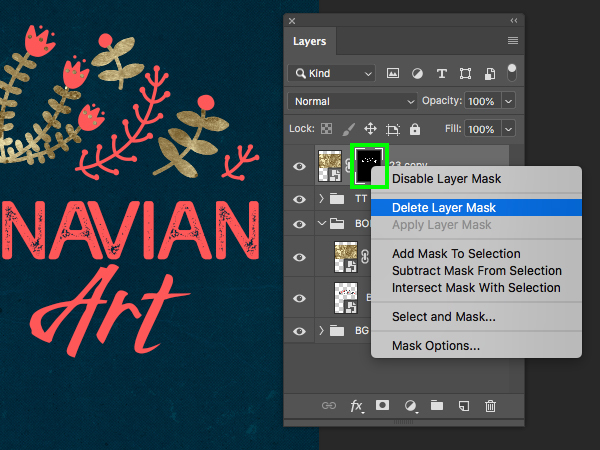 After that, click on the ‘Add layer mask’ icon to have the gold fill replace all of the dark gray areas. 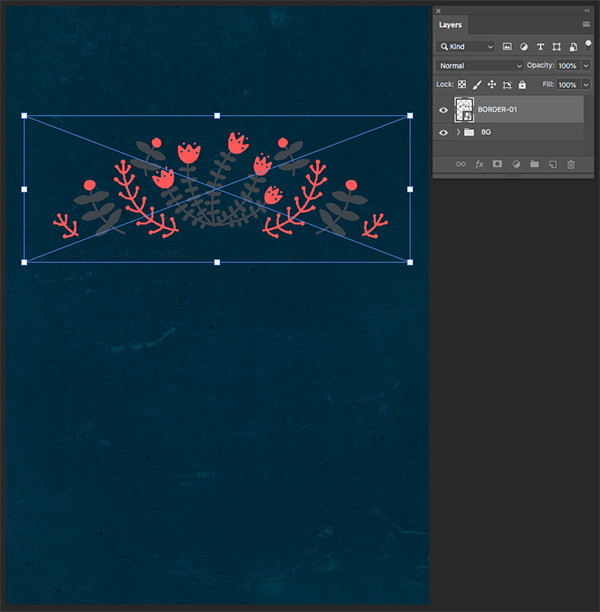 Select the ‘ORNAMENT-01’ Smart Object layer and use the Magic Wand Tool (W) to select an area filled with blue. Go to the Select menu and choose ‘Similar’ to grab any other blue areas from the ornament. 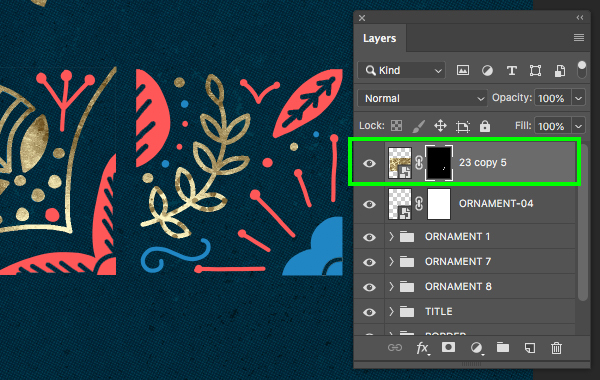 Select the top gold texture layer, then hold the Shift key and select the ornament below, and then press Command/Ctrl+G to put the layers into a new folder named ‘ORNAMENT 1’. 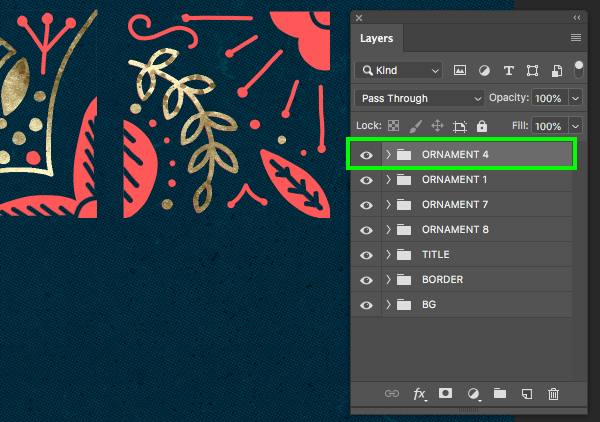 Use the File menu to go to ‘Place Embedded…’ and then bring in ‘ORNAMENT-04’ and place it to the right of the previous ornament layer. We also want to scale the ornament down so that it’s the same height and width as the previous tiles. 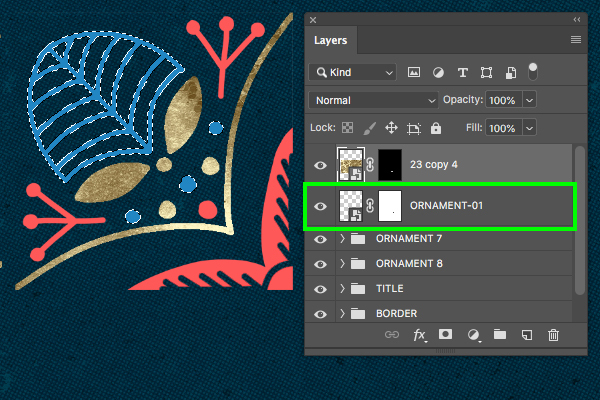 Duplicate the gold texture from the previous ‘ORNAMENT 1’ folder and move it to the top above ‘ORNAMENT-04’ and turn it off. 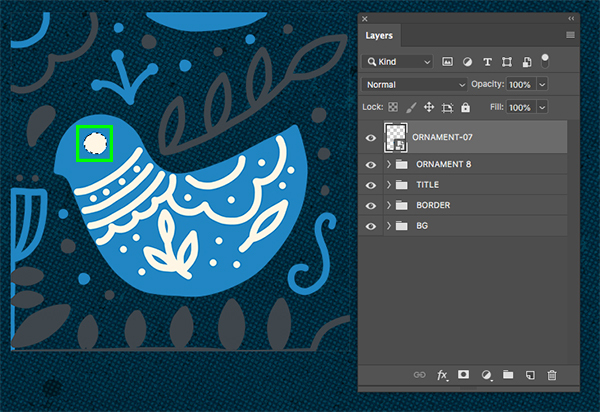 After that, select all of the dark gray areas with the Magic Wand Tool (W) and use the Select menu to choose ‘Similar’ and grab all of the other dark gray parts of the ornament. 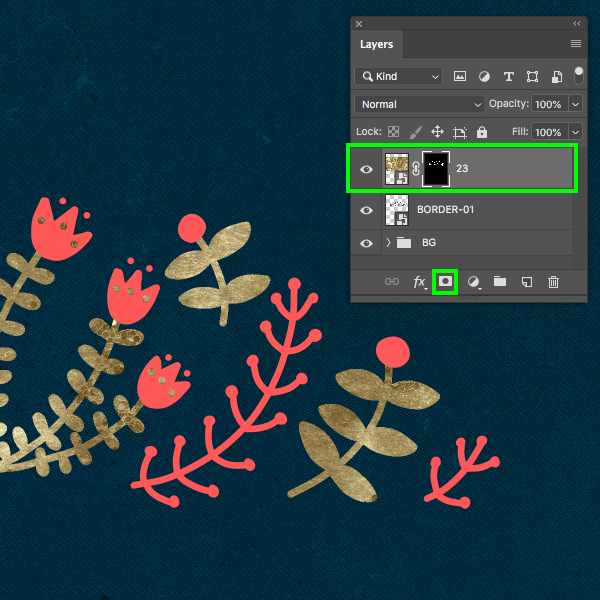 Turn on the visibility of the gold texture and apply a mask to it. 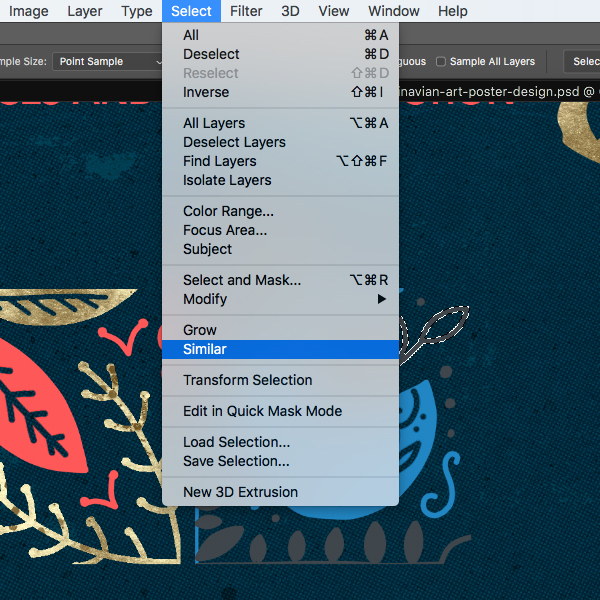 Select the ‘ORNAMENT-04’ Smart Object and then hold the Alt/Option key and click on the Adjustment Layer icon at the bottom of the Layers Palette before choosing ‘Solid Color…’ from the list. 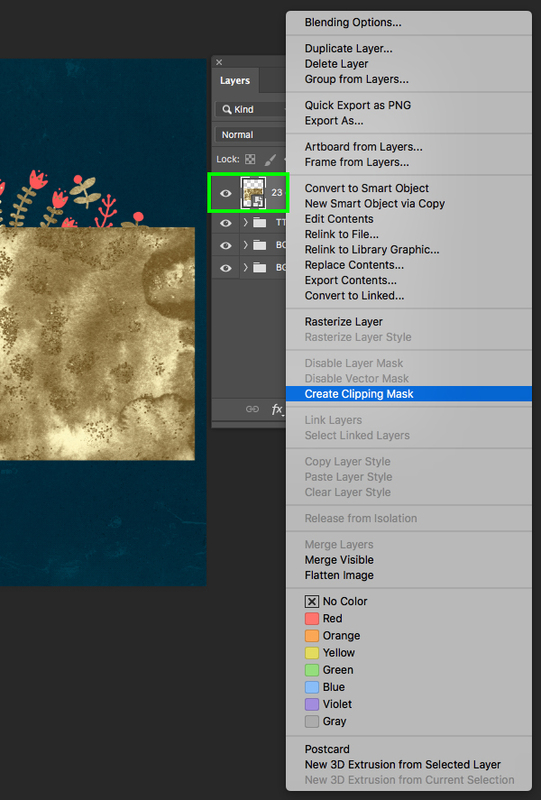 When prompted with the following dialog box, check off the option that says ‘Use Previous Layer to Create Clipping Mask’ and then press ‘Return’ on the keyboard to continue. 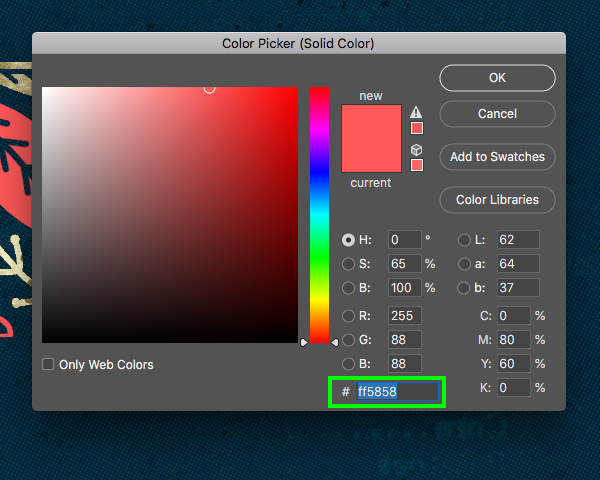 For the fill color, enter the hex value ‘#FF5858’ and then click ‘OK’ or press ‘Return’ once again to apply the changes. 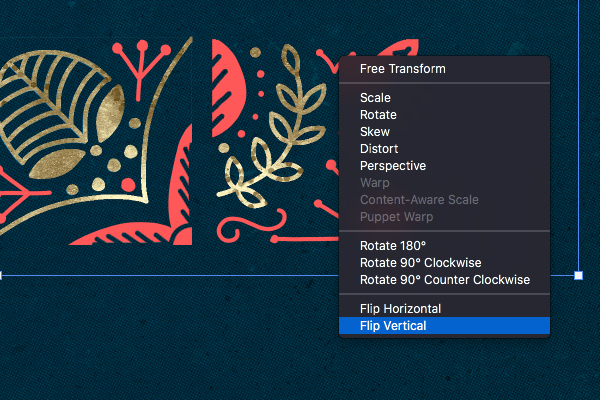 Select the newly created ‘ORNAMENT 4’ folder and press Command/Ctrl+T to do a Free Transform. After that, hold the Control key and click anywhere on the object to reveal a dropdown menu where we’ll want to select the ‘Flip Vertical’ option. 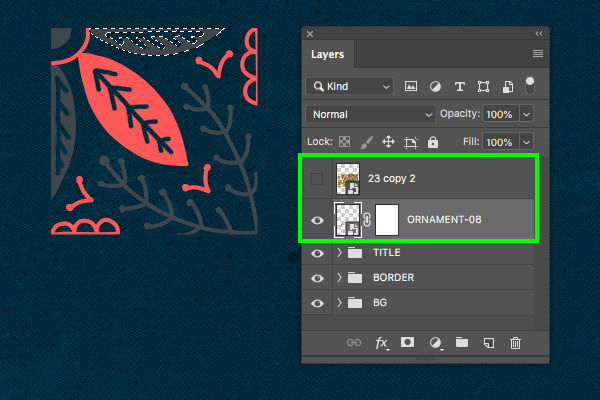 Select the ‘ORNAMENT 1’ folder and duplicate it by pressing Command/Ctrl+J. 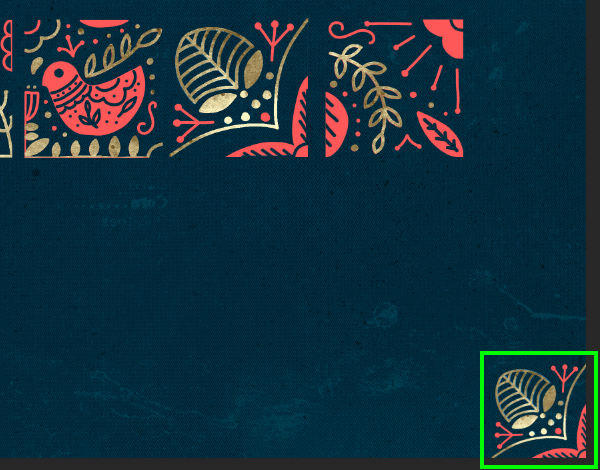 Next, press Command/Ctrl+T and scale the tile down and move it to the lower right corner of the design. Duplicate both of these folders by pressing Command/Ctrl+J and then with both of the new copies selected, press Command/Ctrl+T to do a Free Transform. 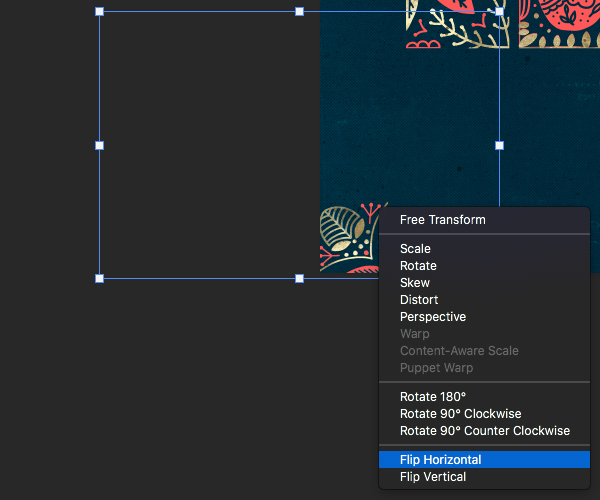 Hold the Control key and click on either of the two ornaments and then choose ‘Flip Vertical’ from the dropdown menu that appears. Hold the Shift key and slide both of these copies to the top so that you have an ornament in each of the four corners. 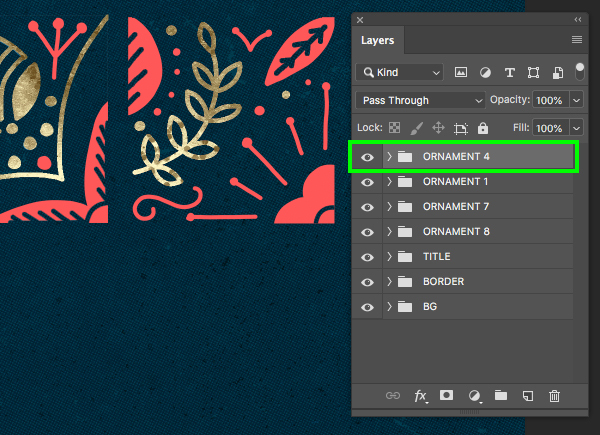 Once you’ve done that, select all four of the corner ornaments together and press Command/Ctrl+G to put them into a new folder and then rename the folder ‘CORNER ORNAMENTS’. 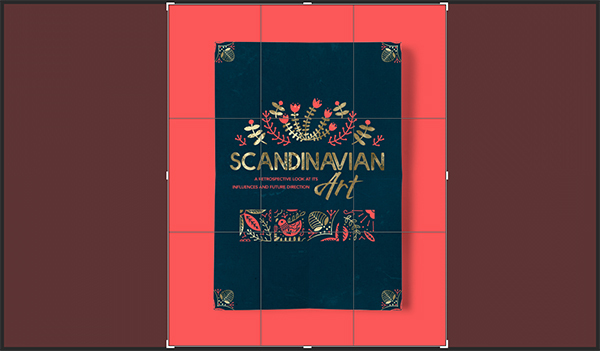 Let’s now select the four main tiles from beneath the title and also put them into a folder of their own called ‘ROW OF TILES’. 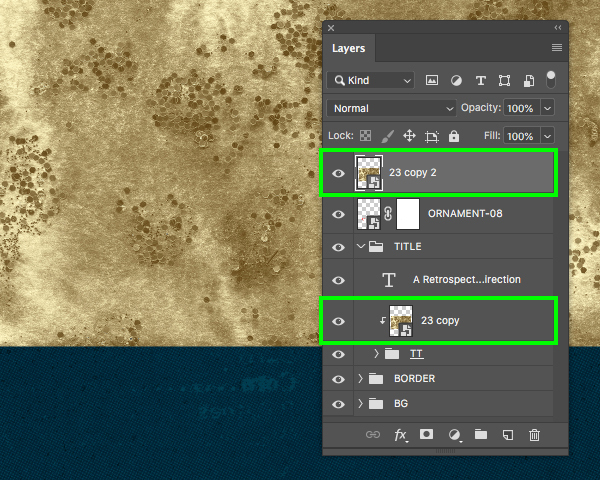 Select the very top folder in your Layers Palette, which should be the ‘CORNER ORNAMENTS’ and then hold the Shift key and select the bottom ‘BG’ folder so all of the folders in the Layers Palette are selected together. Press Command/Ctrl+J to duplicate all of the folders. 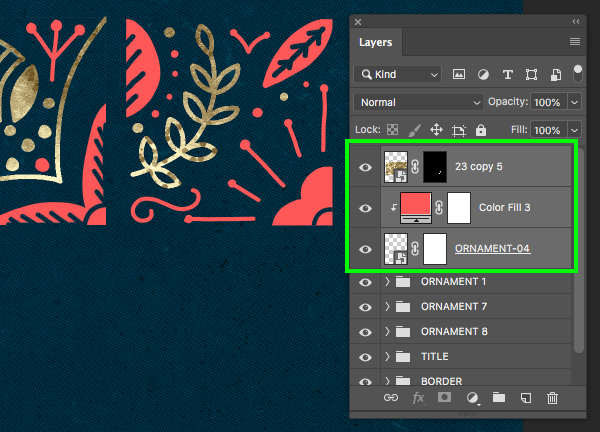 With all of the duplicate folders still selected, press Command/Ctrl+E to merge them together so you have a merged copy of the complete design at the top of your Layers Palette. 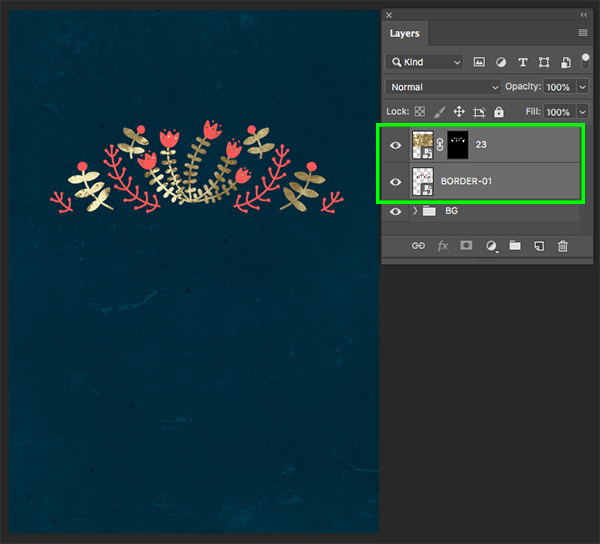 Here I have renamed this layer ‘ARTWORK MERGED’. 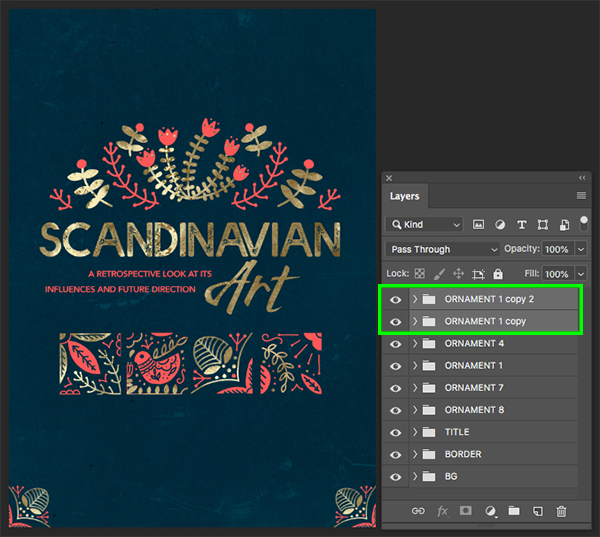 Go to the File menu and choose ‘Open…’ and then navigate to the PSD file inside of the ‘Print Mockup Pack’ folder with the freebies for the tutorial and select it. 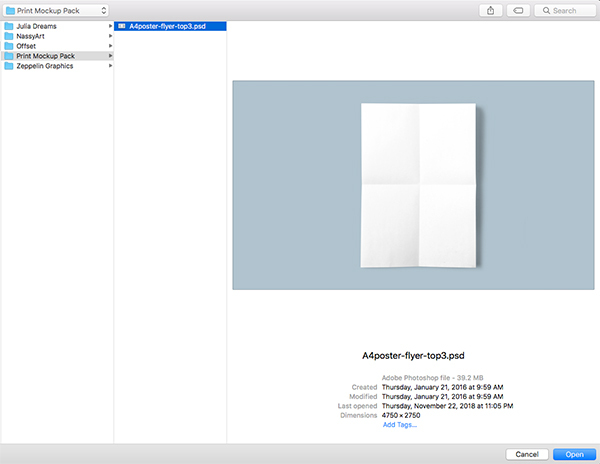 Double click on the Smart Object labeled ‘REPLACE A4 FLYER’ to open it in a new window. 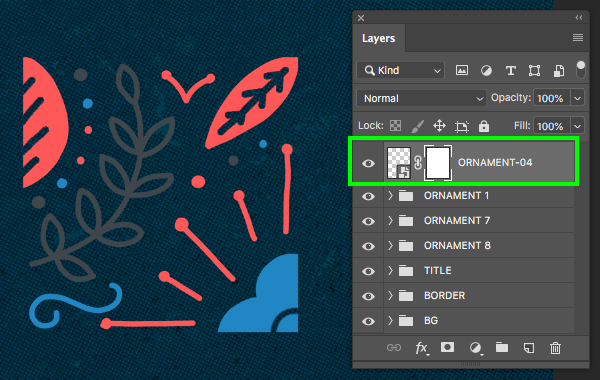 Next, grab the ‘ARTWORK MERGED’ layer from our main design and click, hold the Shift key, and drag it into the empty Smart Object layer. 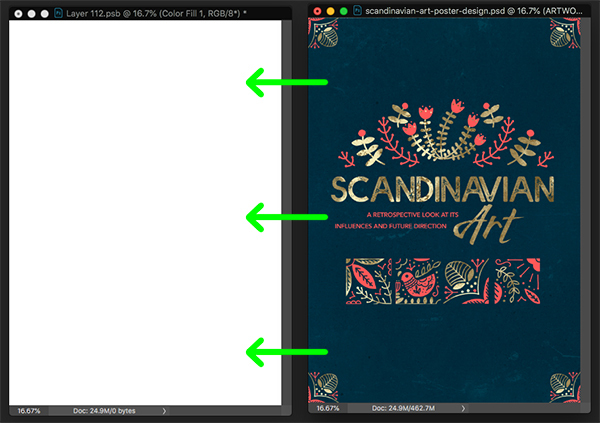 After placing the artwork in the Smart Object, simply save the file by pressing Command/Ctrl+S and then close out of the window by pressing Command/Ctrl+W to return to the main mockup file. 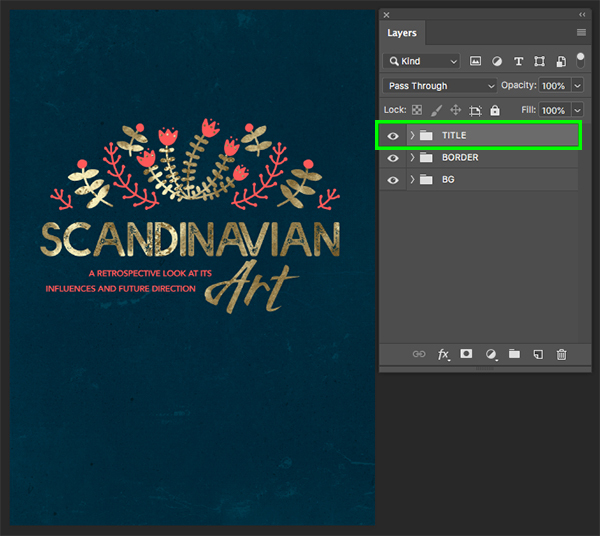 We can also now save and close our main design file containing the flat poster art. 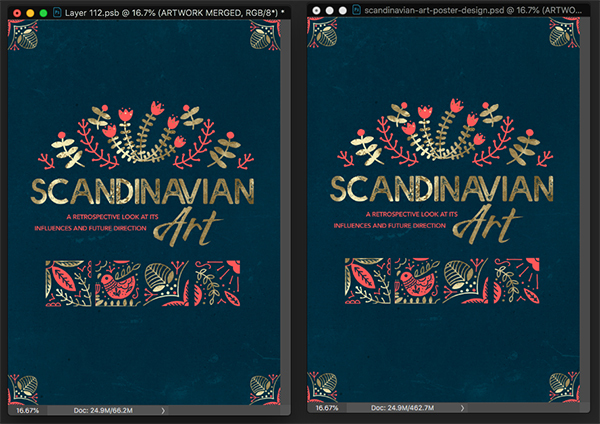 After returning to the main poster mockup, click on the Solid Color Adjustment Layer to change the color. 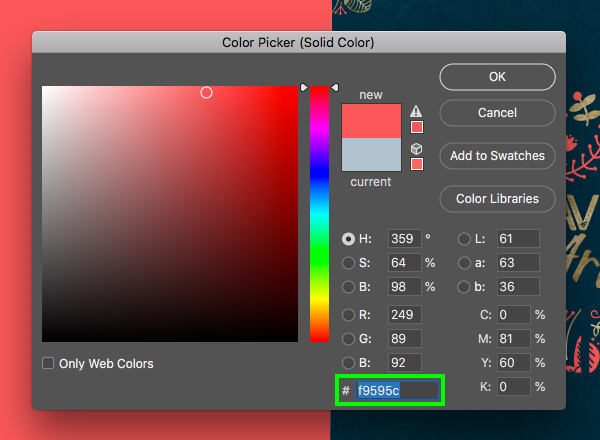 Change the background color to ‘#F9595C’ and then click ‘OK’ to apply the changes. 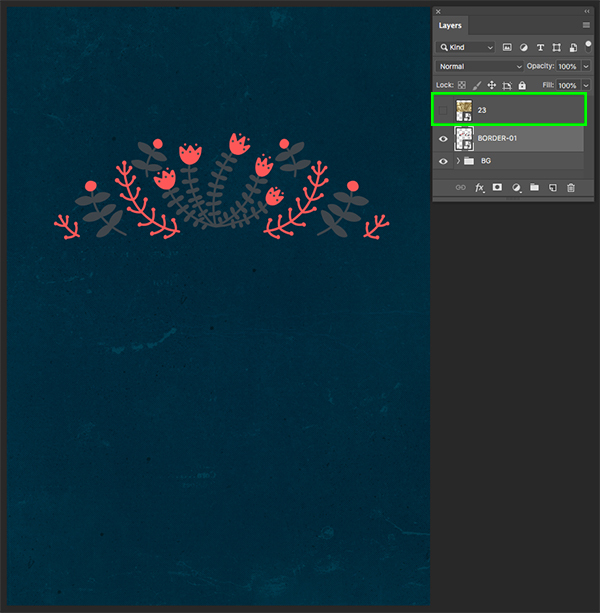 Press ‘C’ on the keyboard to switch to the Crop Tool and bring in both of the side handles so that we get a nicer crop on the poster mockup. Once you are happy with the crop, simply press ‘Return’ on the keyboard to apply the changes. 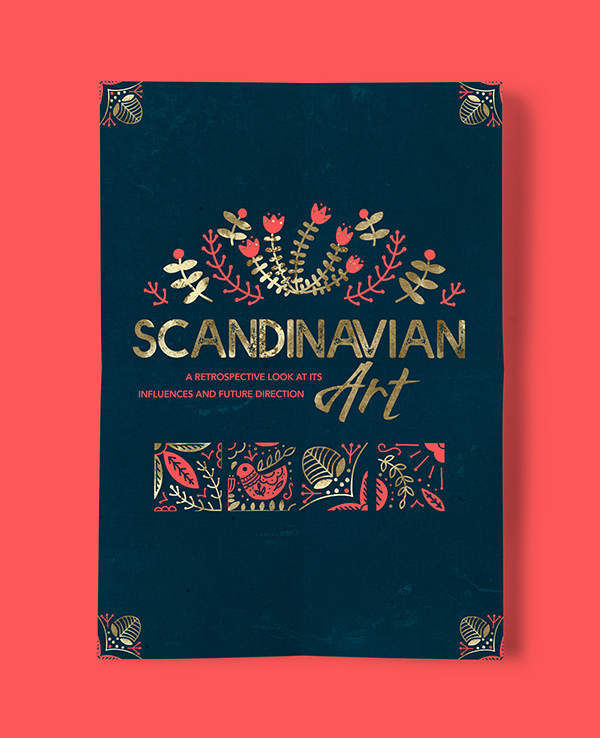 We have now completed our Scandinavian Art Poster Design and mockup! To create our design we’ve used a small handful of elements courtesy of Julia Dreams, NassyArt, Offset and one texture by Zeppelin Graphics from The Expansive Textures and Patterns Collection along with a poster mockup from the Print Mock Up Pack by Mockup Zone the Design Cuts Marketplace. 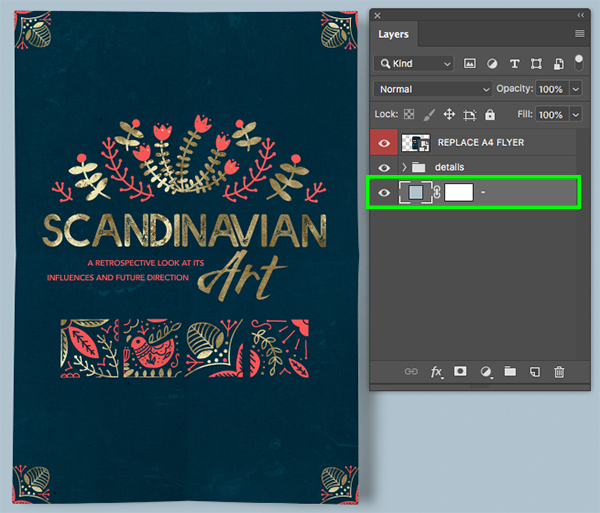 This is just one example of how you can use these awesome new textures and patterns guaranteed to add beautiful high-quality elements to your design work. There’s still time to check out The Expansive Textures and Patterns Collection featuring an endless variety of high quality textures and patterns for an unbeatable price of $29! Muchas gracias por este tutorial. Siempre aprendo cosas nuevas para mejorar. Es estupendo. Thank you so much for this tutorial! The process was a lot of fun, and the outcome looks lovely. 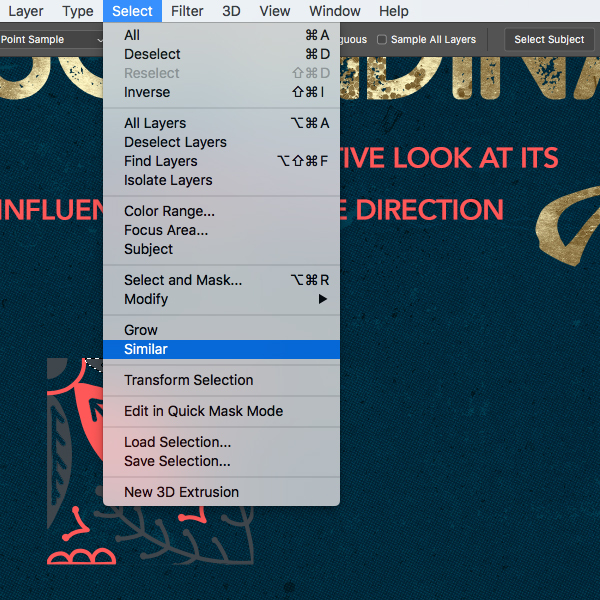 great tutorial for understanding masks, thank you! Yay! It’s awesome to hear this one has been helpful Victoria, thank you so much! Hee-hee thanks so much Ulrike! 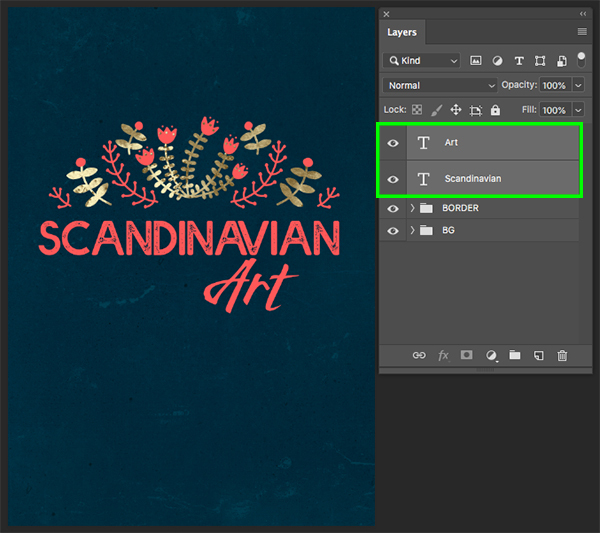 Oh wow, thank you so much for both the downloads AND the tutorial – I need to learn these Photoshop skills and this has made it really simple! Very generous, and appreciated. This is absolutely glorious!! You never stop to amaze me! Aww thank you so much Vanessa that’s really kind of you, the support means so much to us all! Thanks for the kind words Vanessa! I’m so happy to hear that you enjoyed it and liked the outcome!